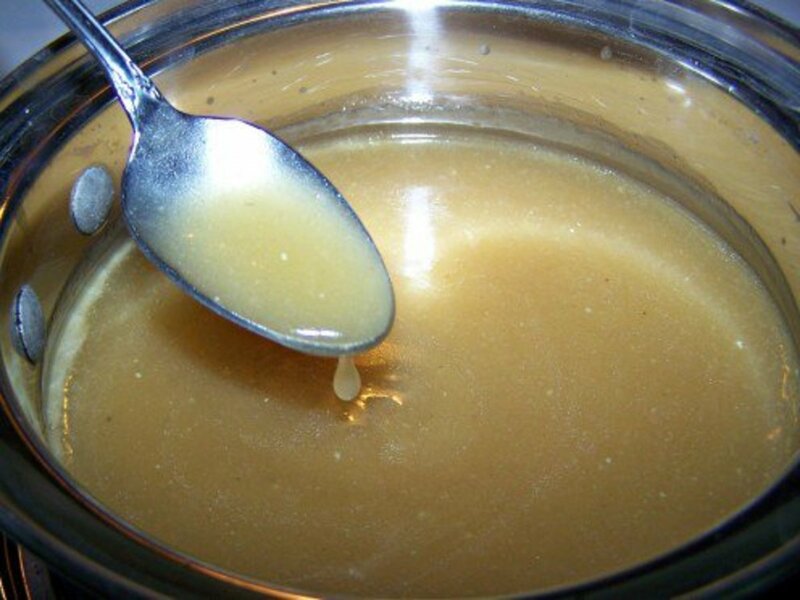 Gravy should be sublime, not like something out of the Twilight Zone. 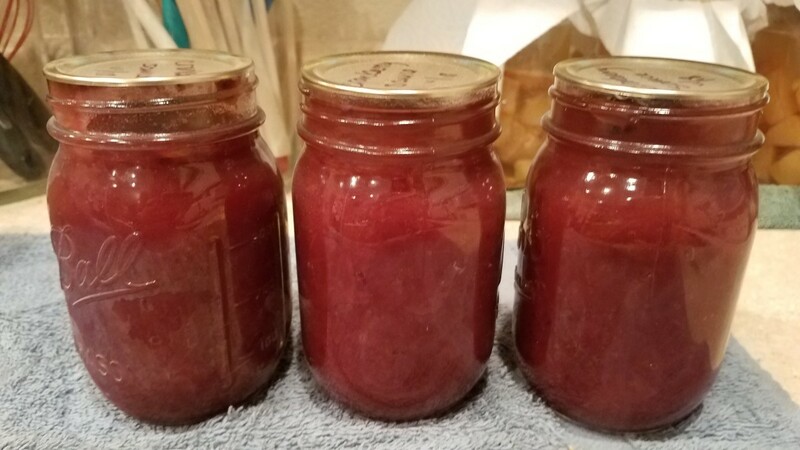 You can use those end-of-season, unripe tomatoes you picked from your garden or greenhouse to make an excellent chutney. 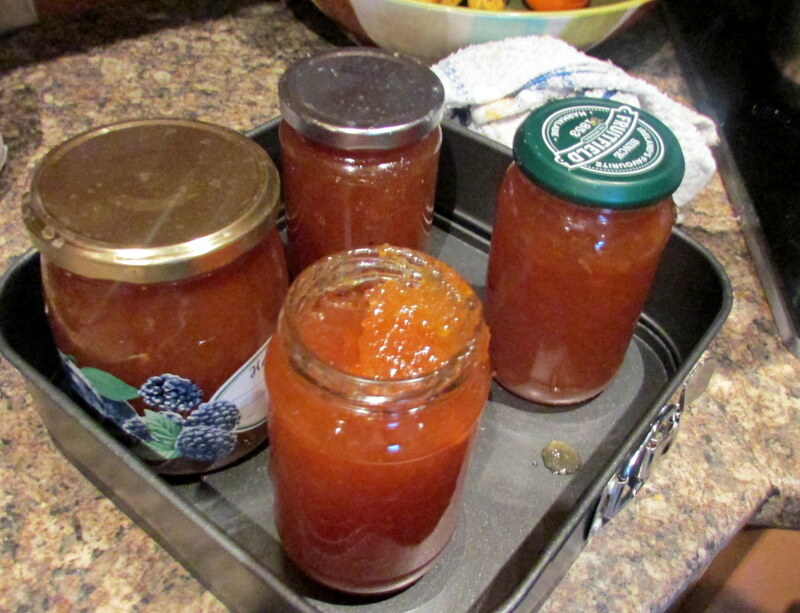 I also include recipe tips for using the chutney in a ploughman’s lunch. 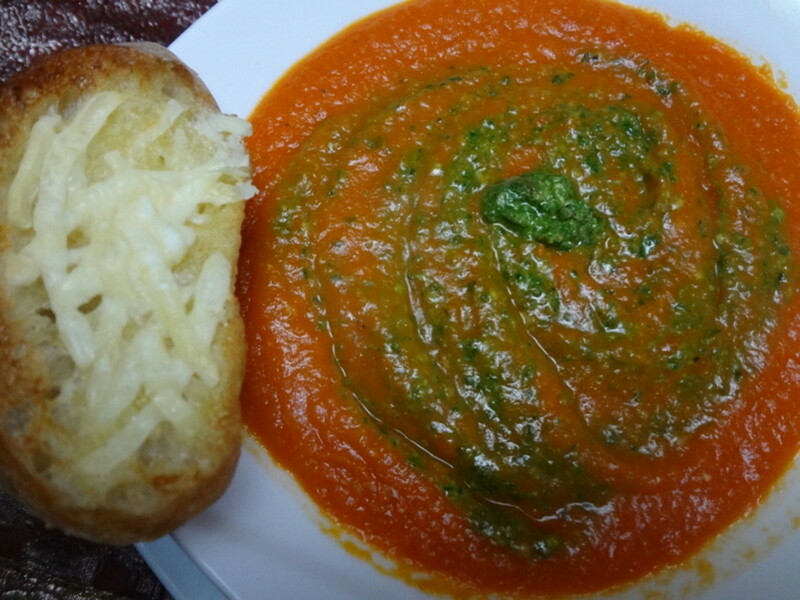 This hearty, rustic tomato pasta sauce takes less than 15 minutes to prep and produces a bold tomato and garlic flavor. 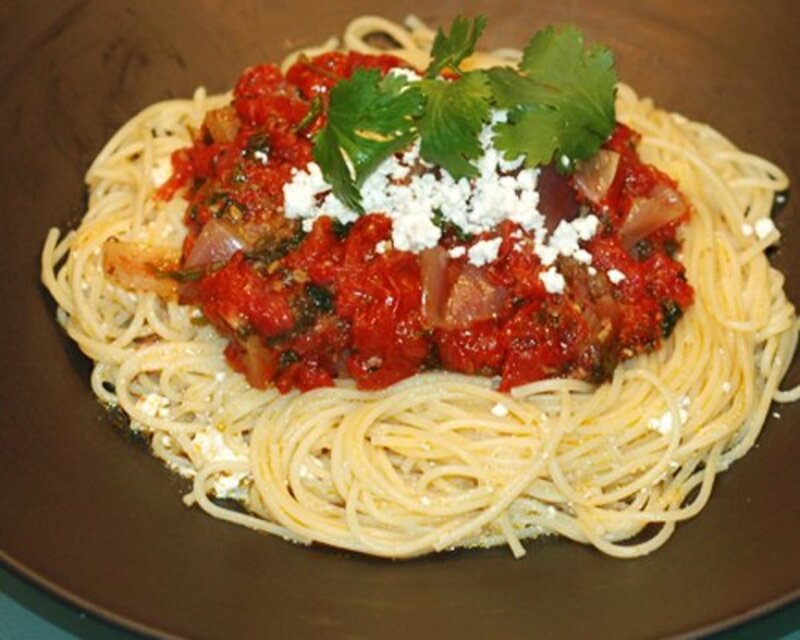 Pairs well with a variety of pastas and is an excellent spread for appetizers. 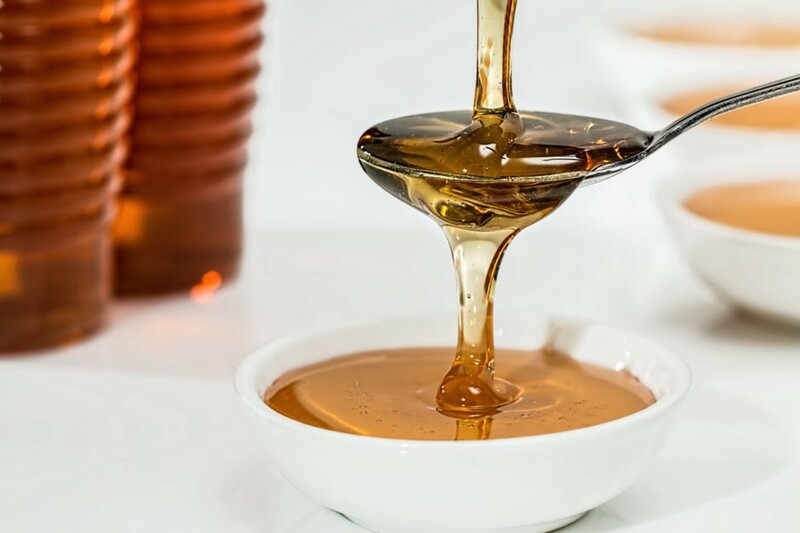 Before the written word, there was honey; offering to the gods, source of potent drink and peasant currency, and even a love potion; honey is as old as time. 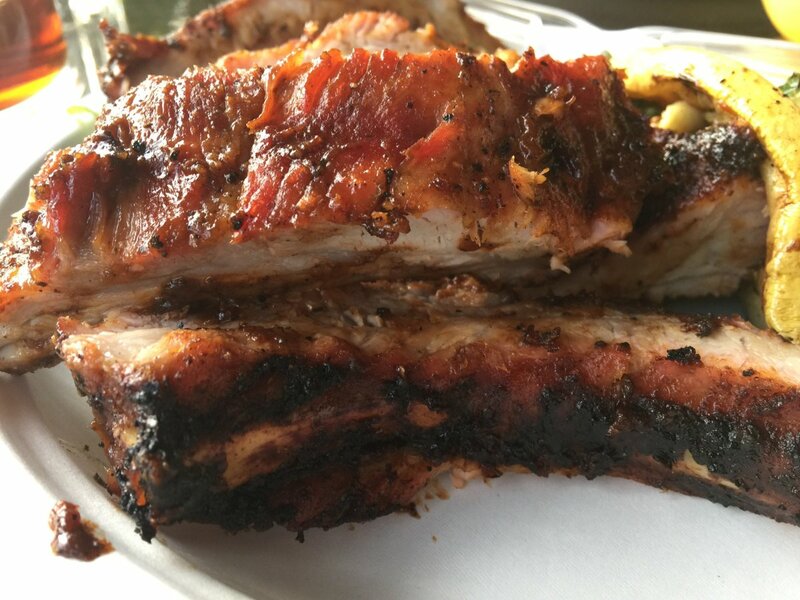 Enjoy the history and the recipes. 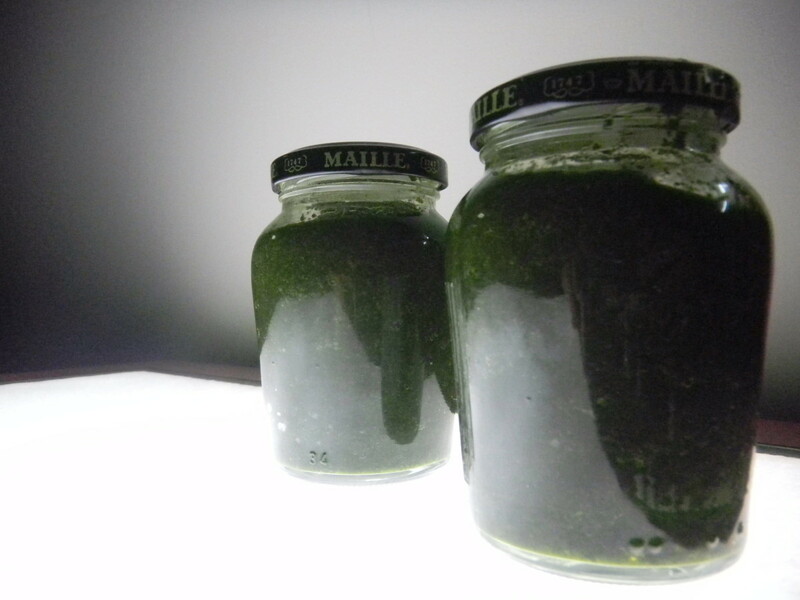 Finding a succulent fresh mint sauce can be a tall order. 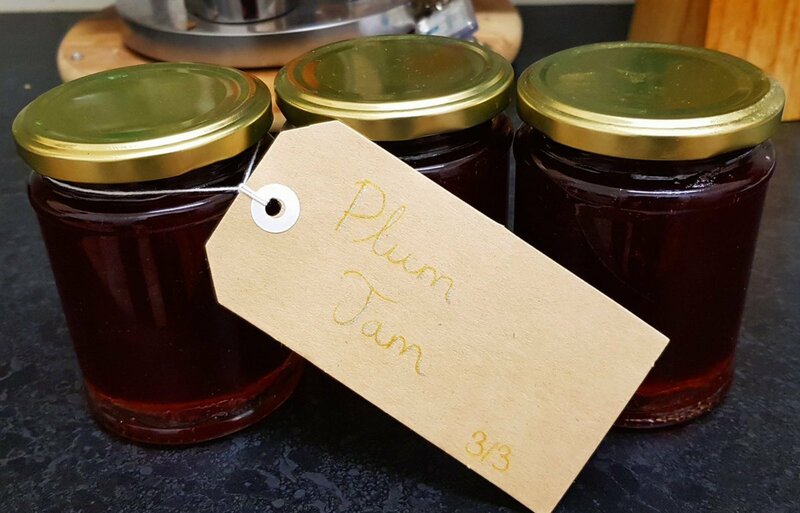 Fortunately, I know of an easy, delicious recipe you can use in a curry, on lamb, on potatoes, or anything that suits your fancy! 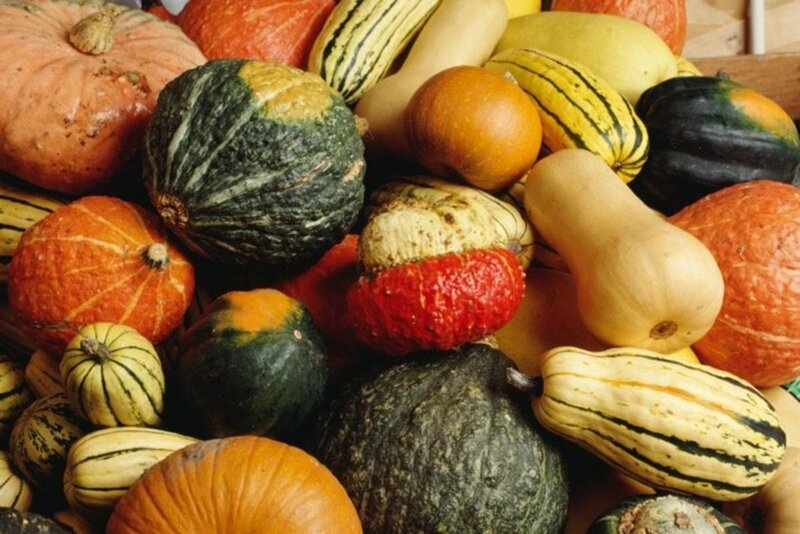 An easy storage method for your garden (or Farmer's Market) root vegetables. 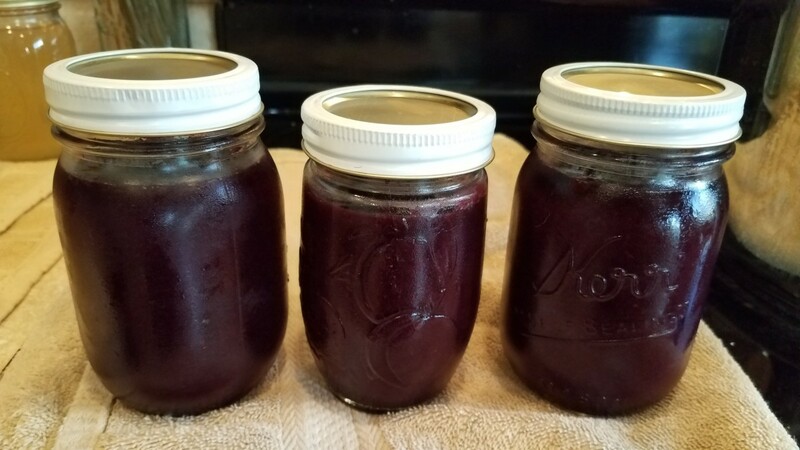 Suitable for carrots, beets, and many others. 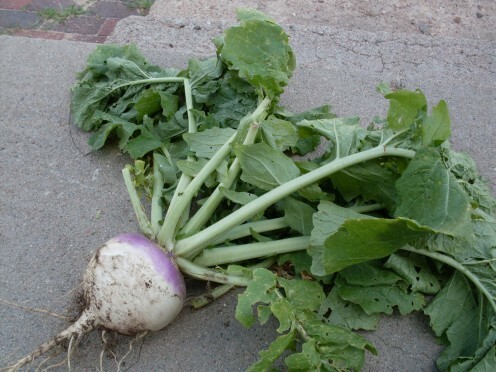 Potatoes and similar tubers, too. 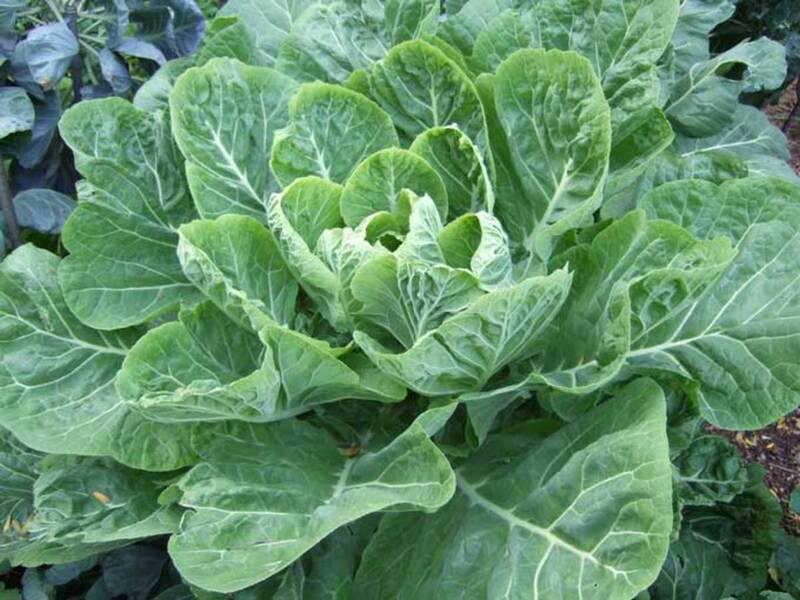 I freeze greens from my garden every year -- they taste as delicious as fresh-from-the-garden. It's an easy process to learn. Read on for all the details. 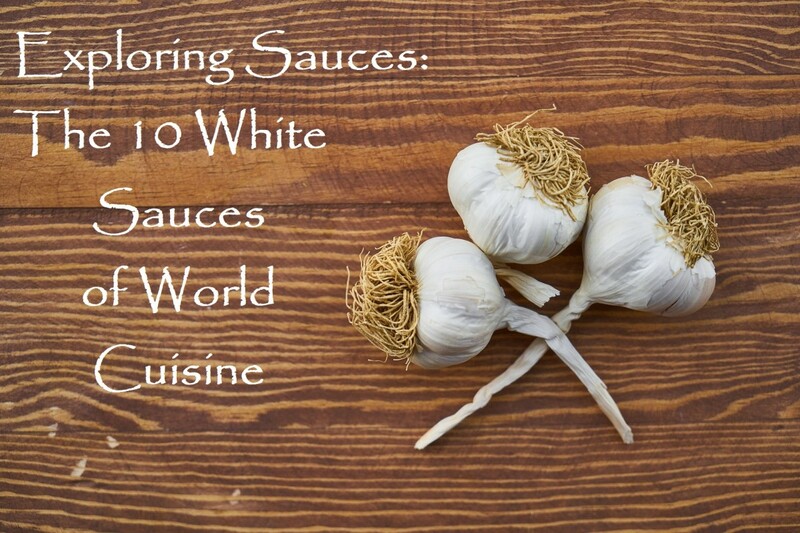 White sauces—a simple idea with worldwide appeal. 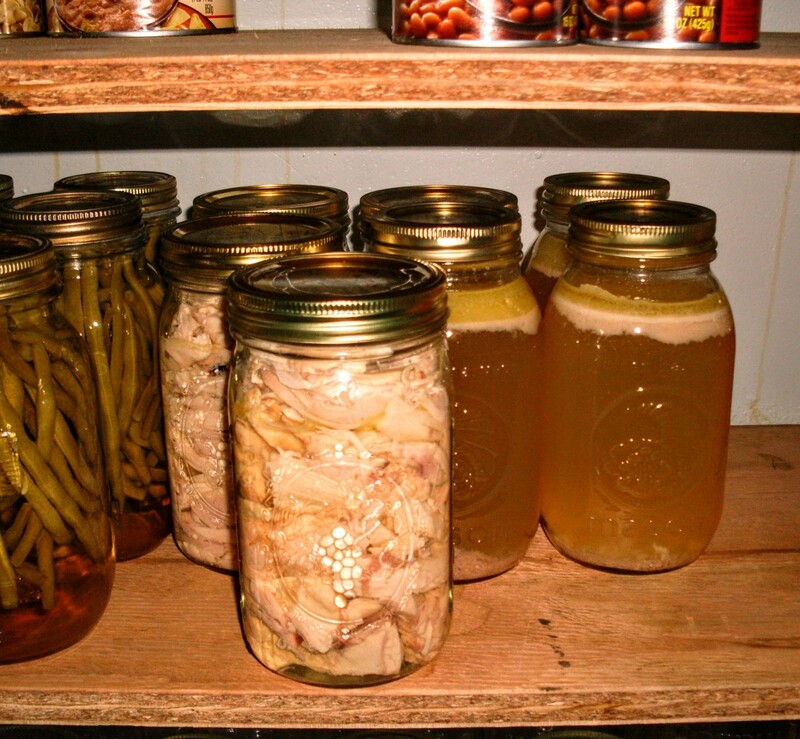 Each culture uses the produce of their garden to craft a condiment to accompany the foods they love. 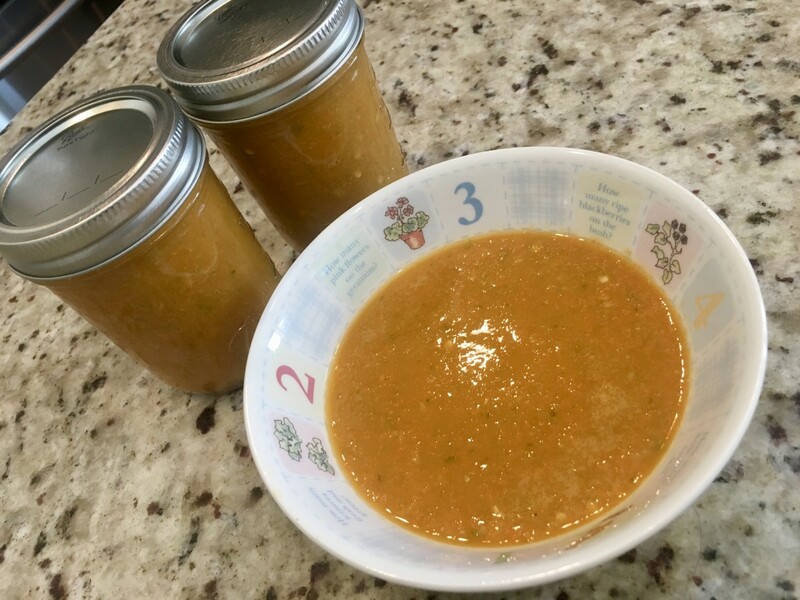 Let’s explore these sauces and how to make them. 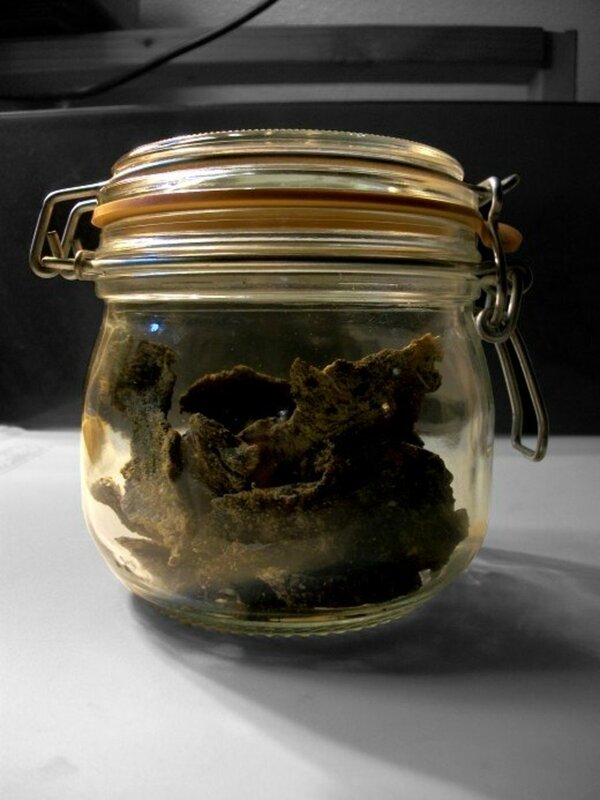 Nothing beats the fresh taste of homemade beef jerky. 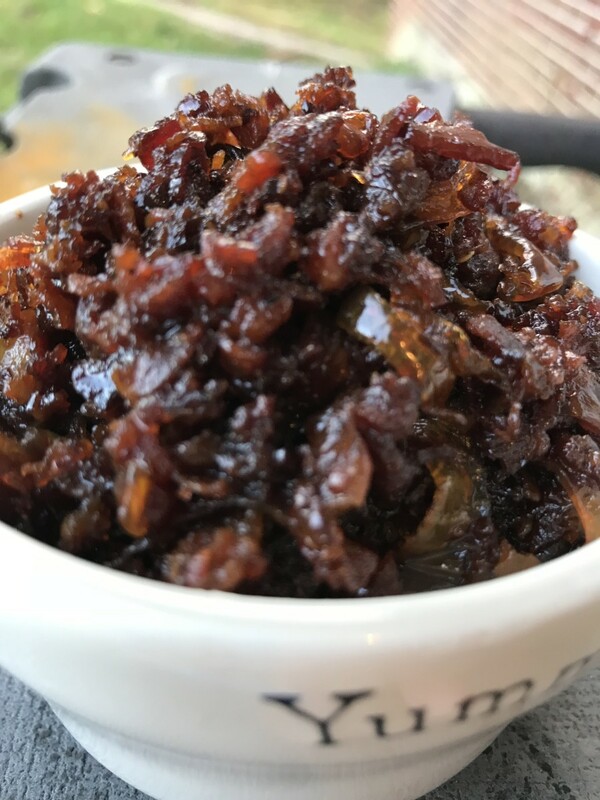 Say goodbye to the massively preserved, store-bought bags and find true comfort with homemade beef jerky recipes. 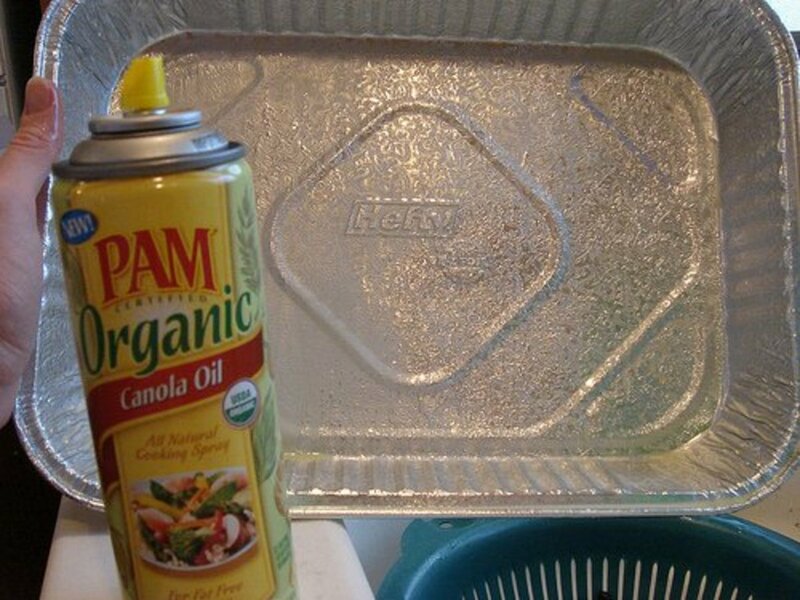 Make your own cooking spray saves money, reduces the chemical additives you're putting into your body, takes 5 minutes to make, and is better for the environment and better for your health. 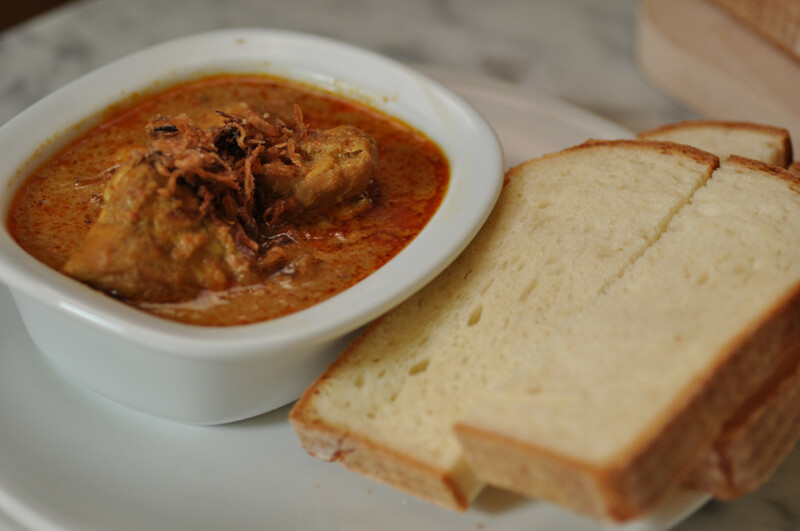 "Curry" is a blanket term used to describe a vast range of Indian spicy stewed dishes. 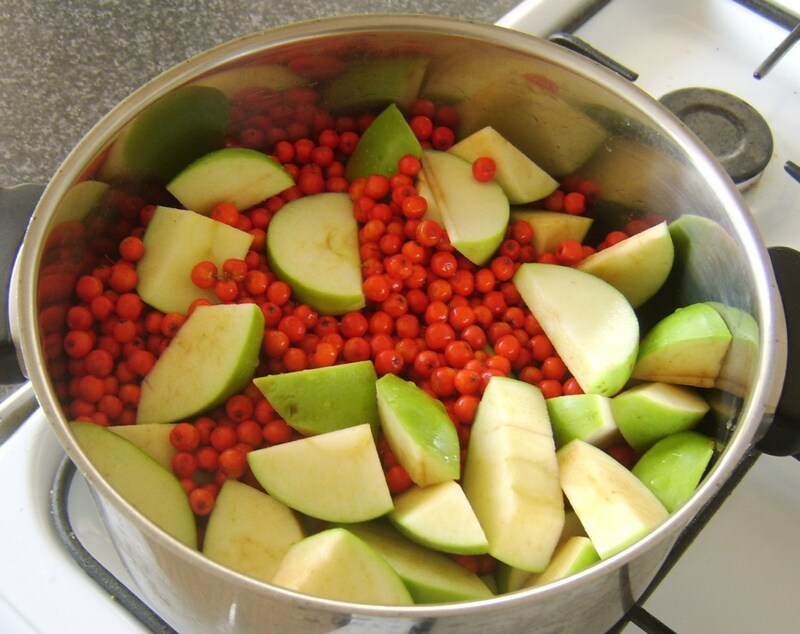 There are many different styles of curries. Not all are hot. 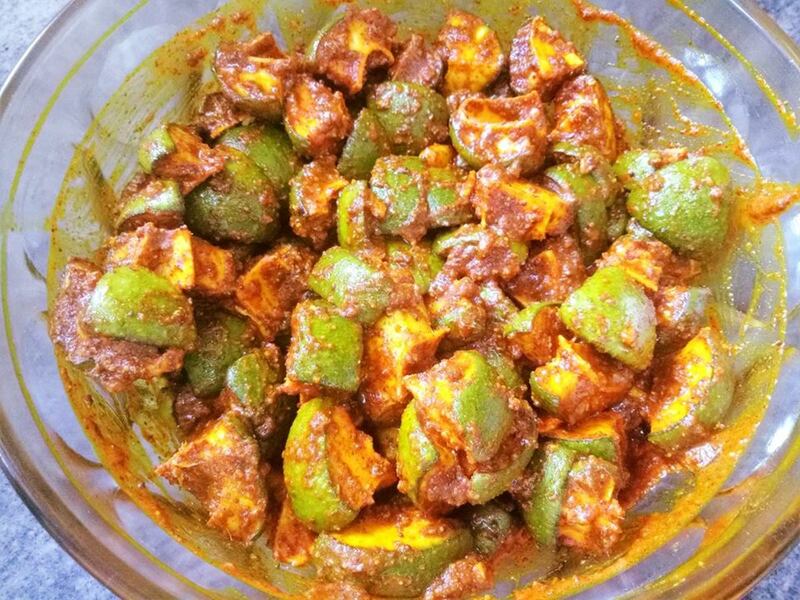 Get tips and recipes for curries here. 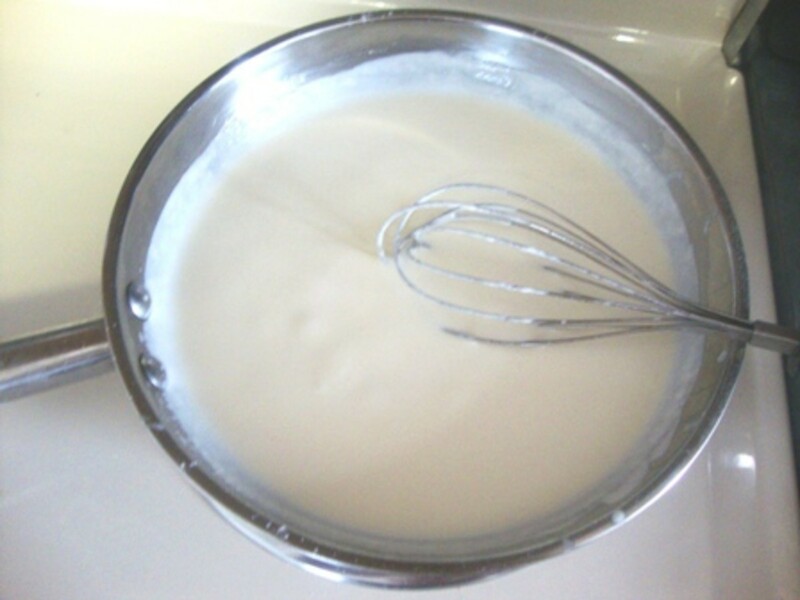 Knowing how to make a white sauce can be invaluable cooking skill. 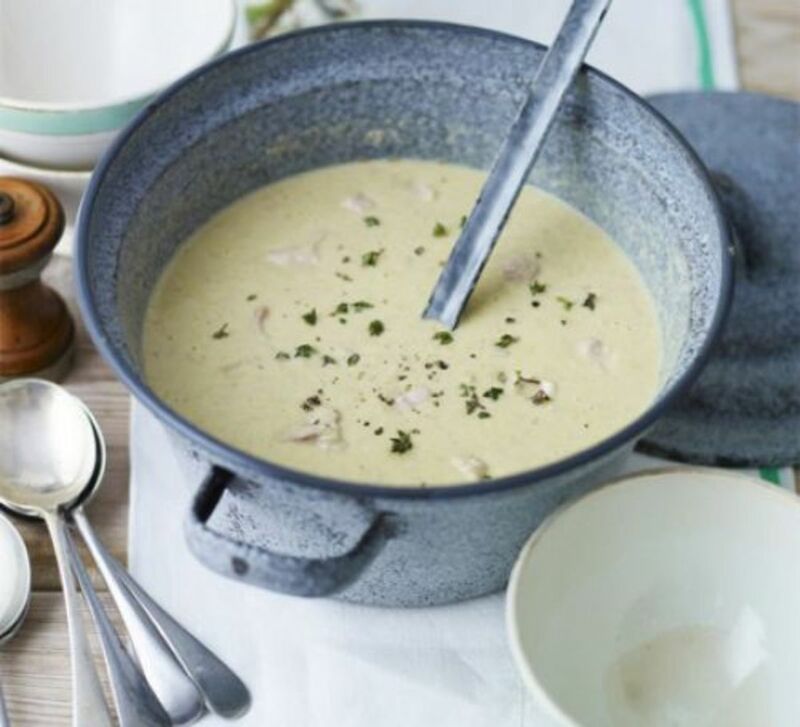 You can use a white sauce in so many dishes either as a topping or a creamy filling. 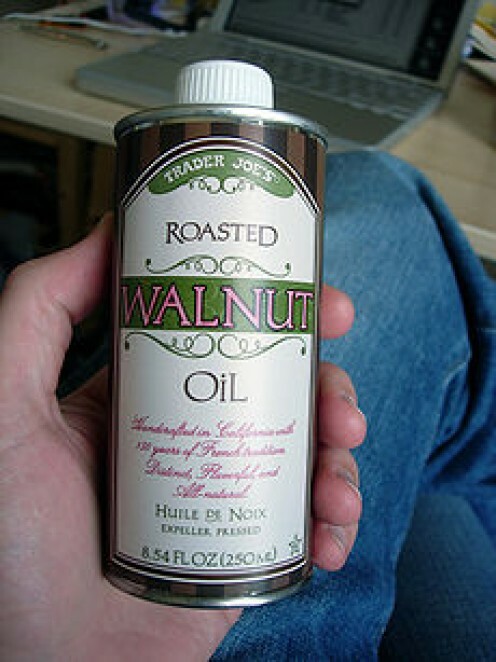 Walnut oil is one of those oils you don't hear much about, but it is fantastic. 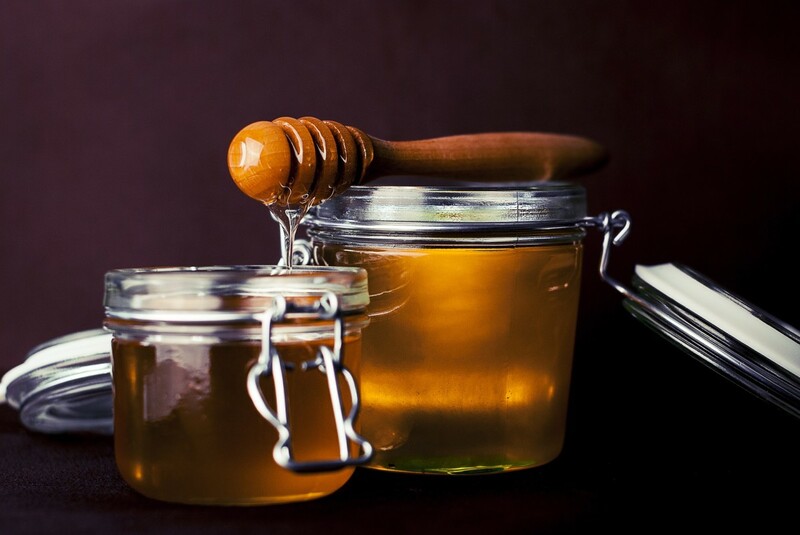 Learn how to use it in your everyday cooking. 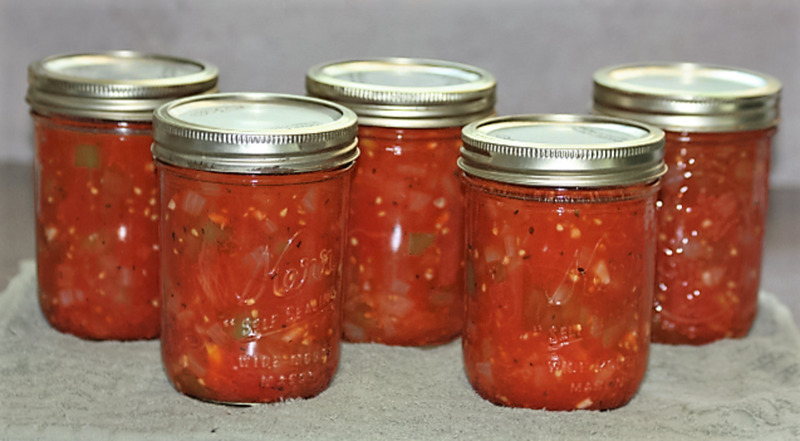 Here are step-by-step instructions on how to can stewed tomatoes. 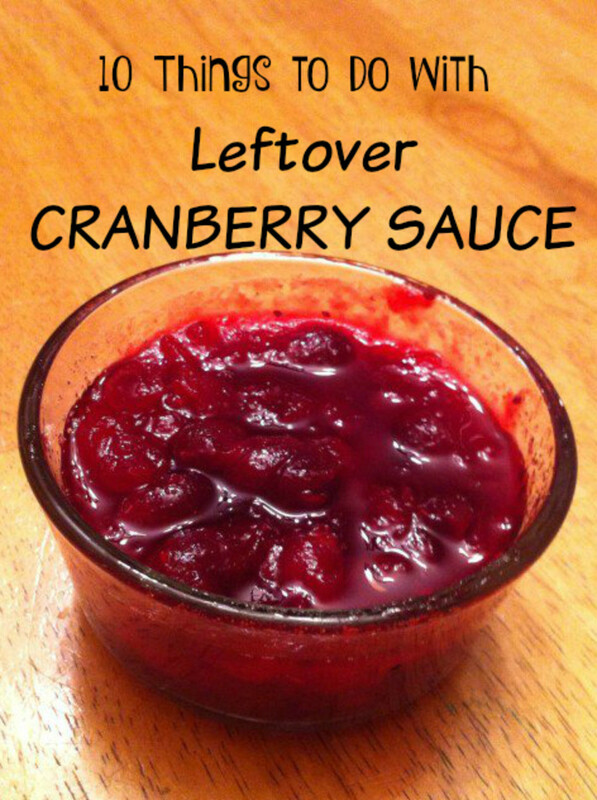 10 ways to use up your leftover cranberry sauce. 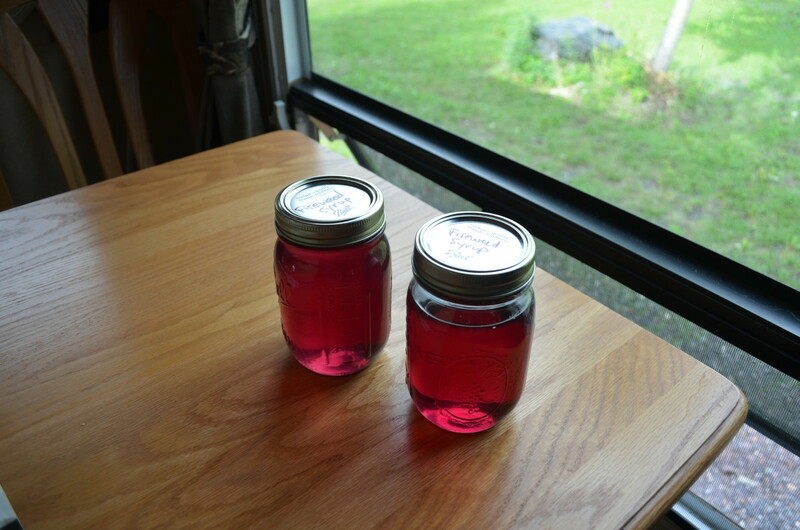 You might even be inspired to make some cranberry sauce just to try some of these ideas. 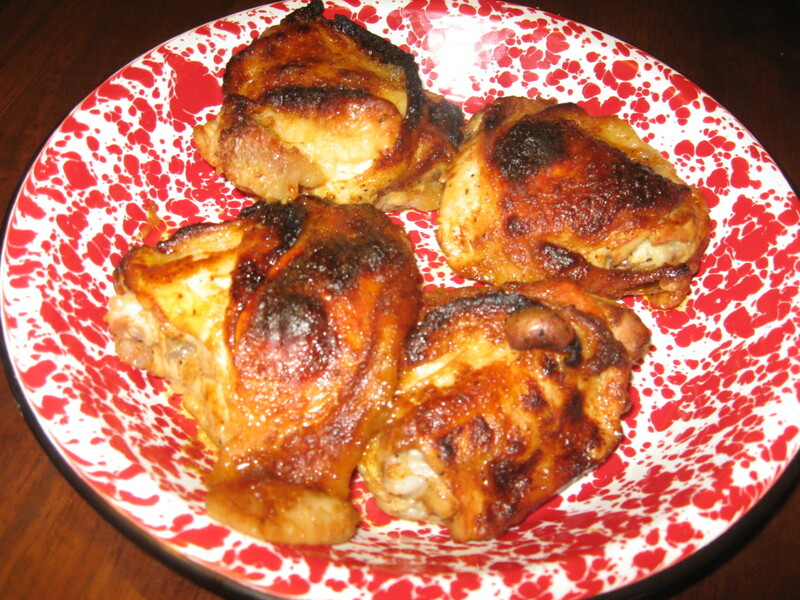 This quick and easy recipe is healthy, kosher, gluten-free, dairy-free, and low-carb. 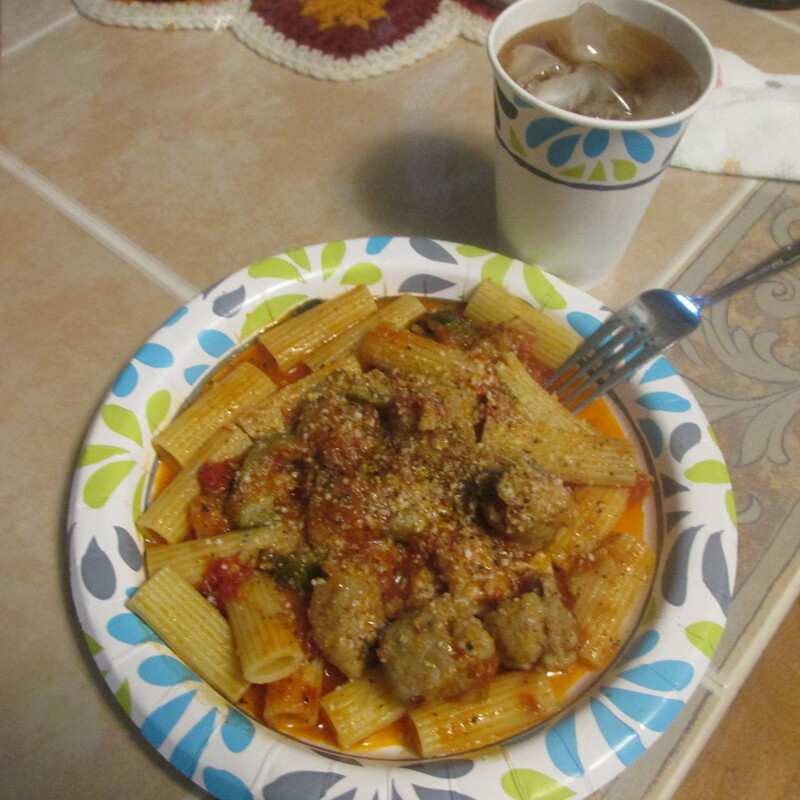 It is filling and hearty, and can easily be made vegan/vegetarian by just skipping the meat. It's simple to customize as well. Celebrate the grand garden season finale. 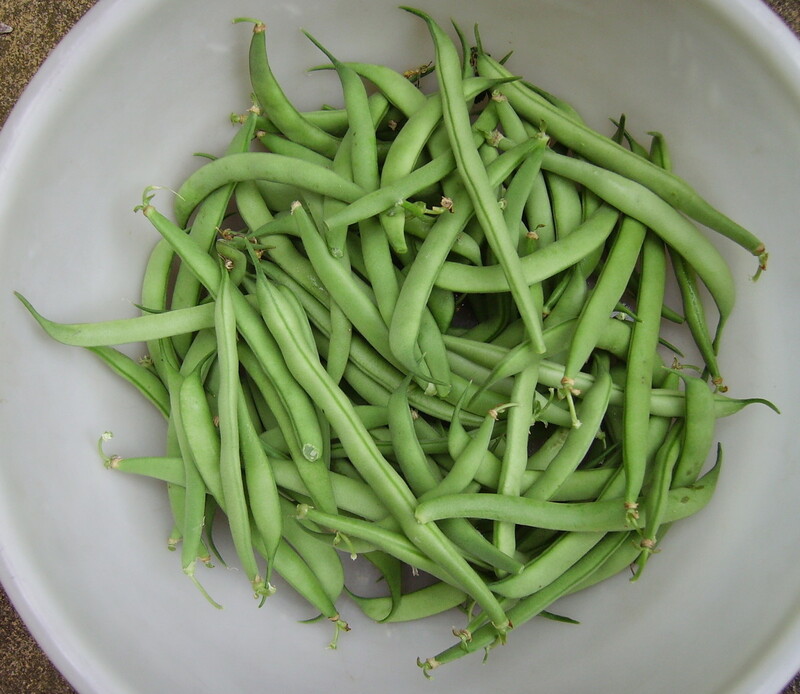 Here are some faster, space-saving methods to harvest and store garden produce at its best. 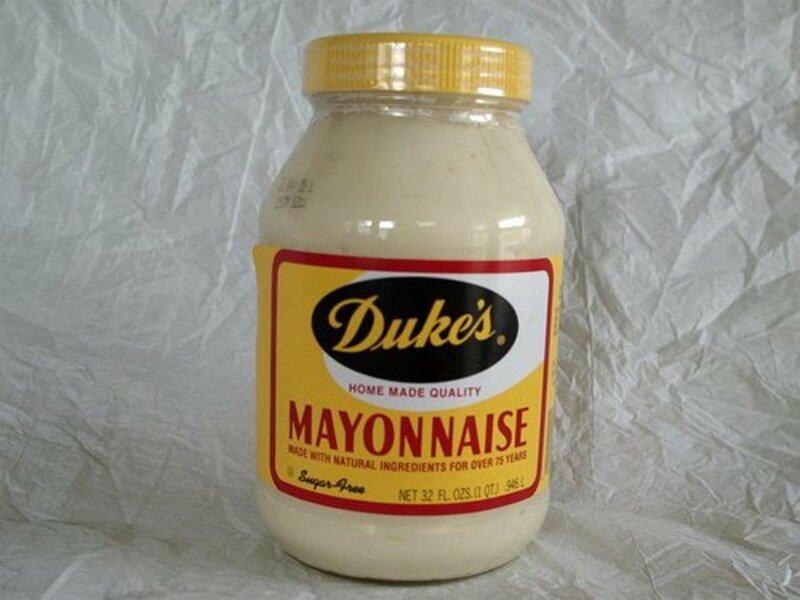 Duke’s Mayonnaise is a staple in the American Southeast. Duke’s just makes sandwiches and salads taste better! 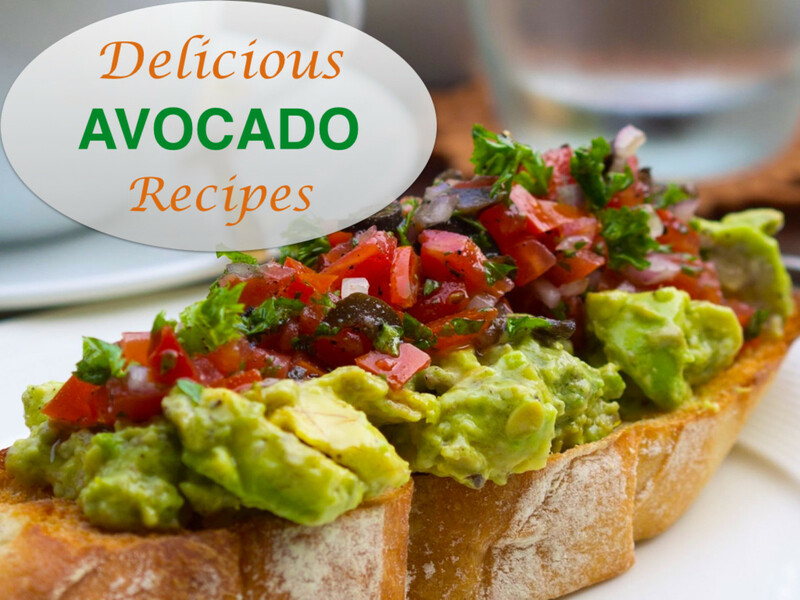 Here are some of my favorite recipes that highlight the great taste of this mayonnaise. 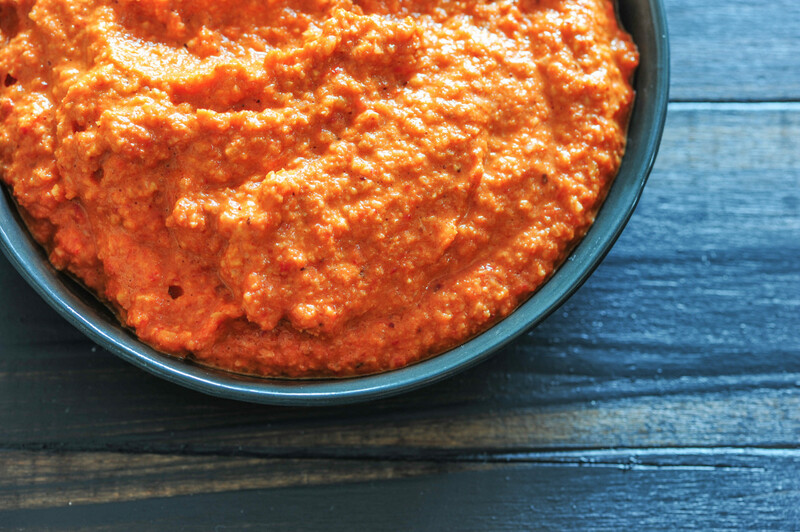 What is in a romesco sauce? 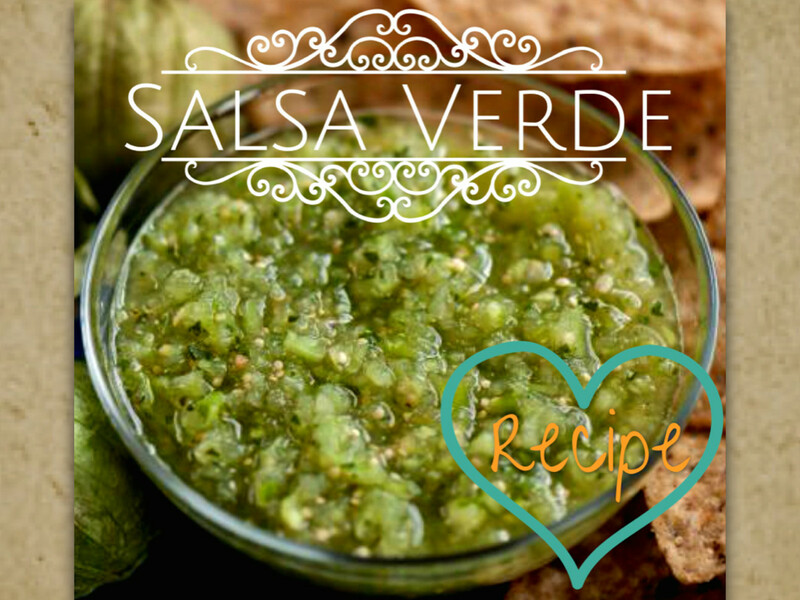 Find out how to make an authentic version of this Catalonian salsa in your own home kitchen. 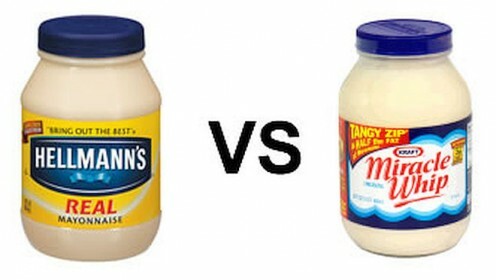 If someone sends you to the store for mayonnaise, don't buy Miracle Whip instead. There is a difference. In fact, there are big differences between the two. 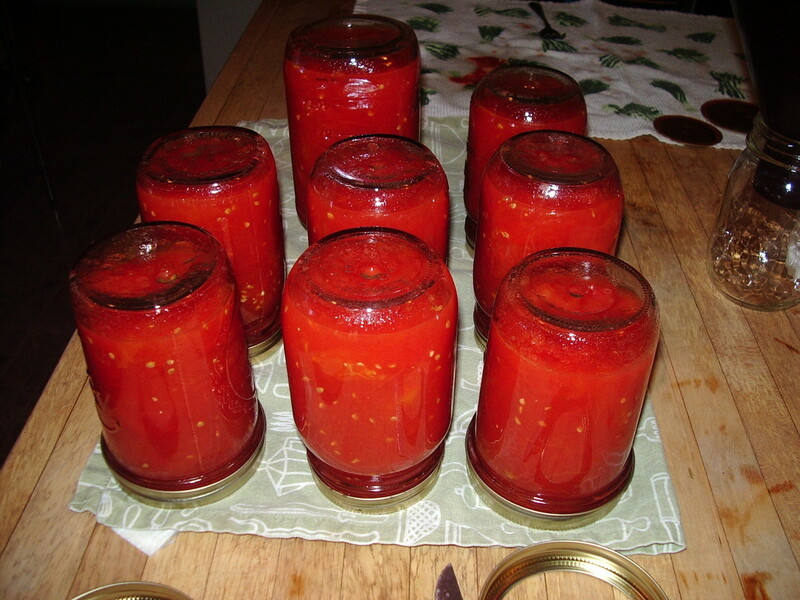 Red sauces—a simple idea with world-wide appeal. 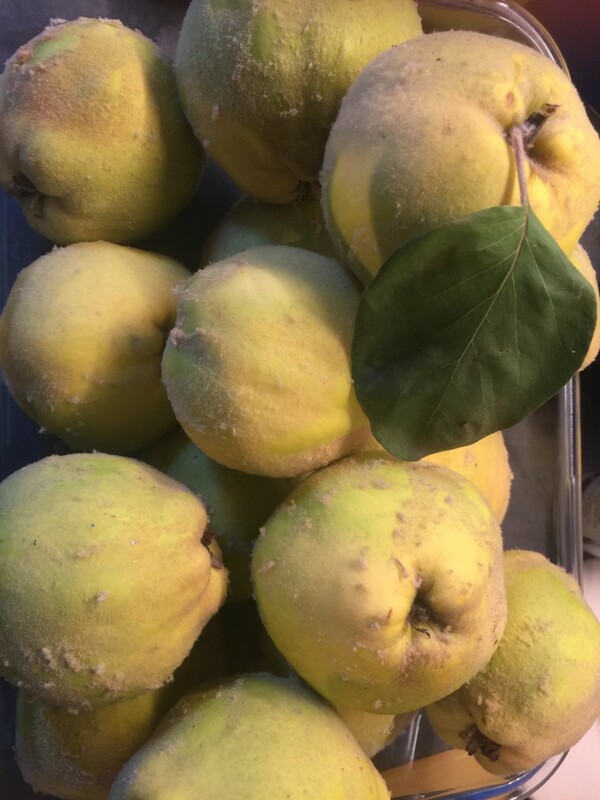 Each culture uses the produce of their garden to craft a condiment to accompany the foods they love. 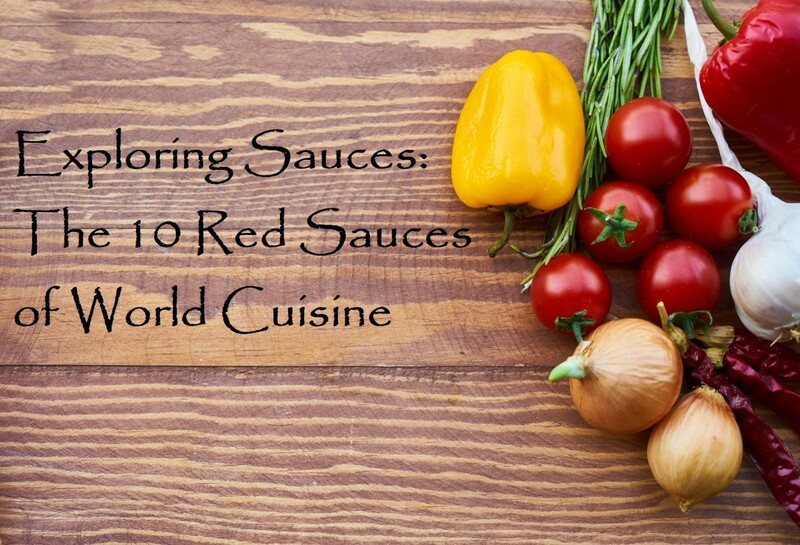 Let’s explore the origins of ten of these sauces and learn how to make them. 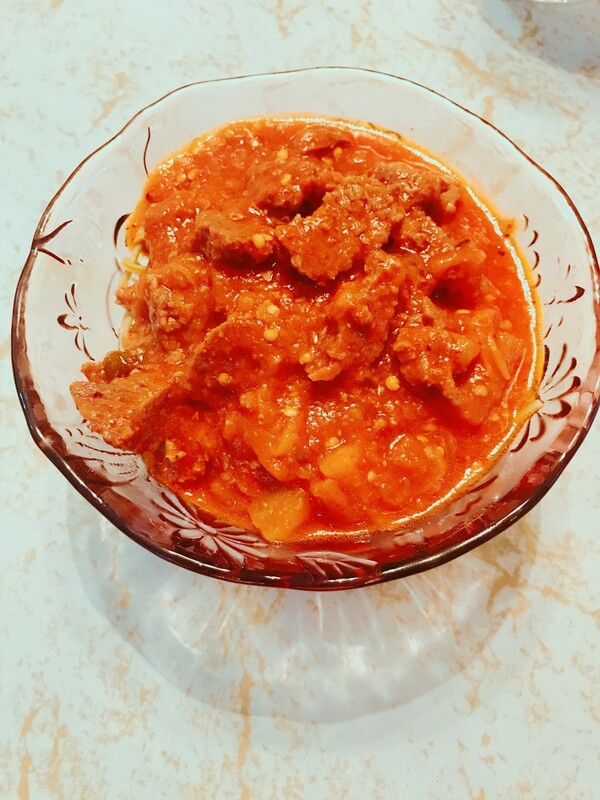 Chili oil is a popular condiment commonly used in Asian countries. 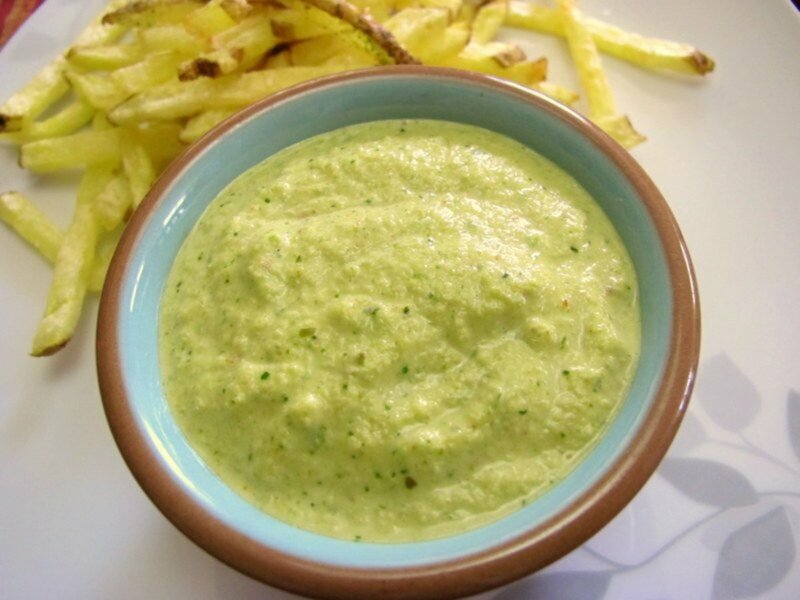 Some places add a twist on this condiment by adding garlic on it. 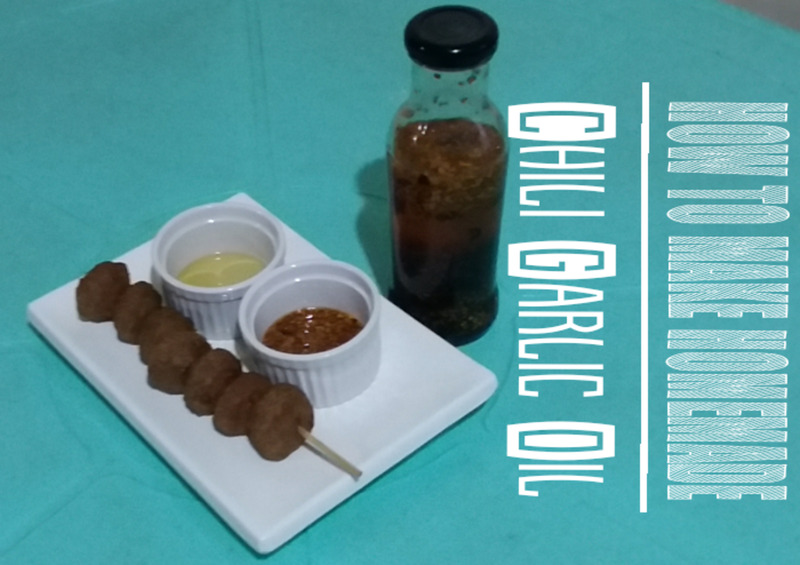 Learn my version on how to make homemade chili garlic oil. 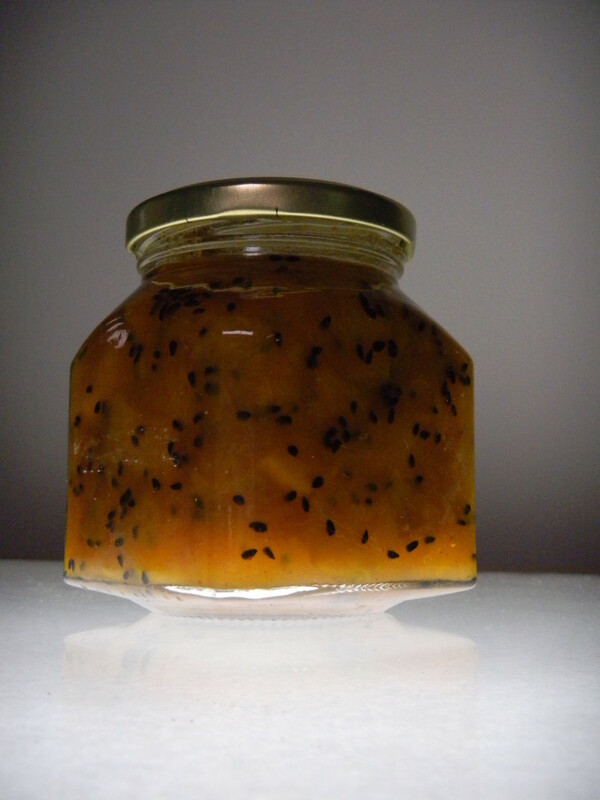 Homemade mango chutney is better than any shop-bought chutney and a great go-to for any Indian curry or ingredient to other recipes. 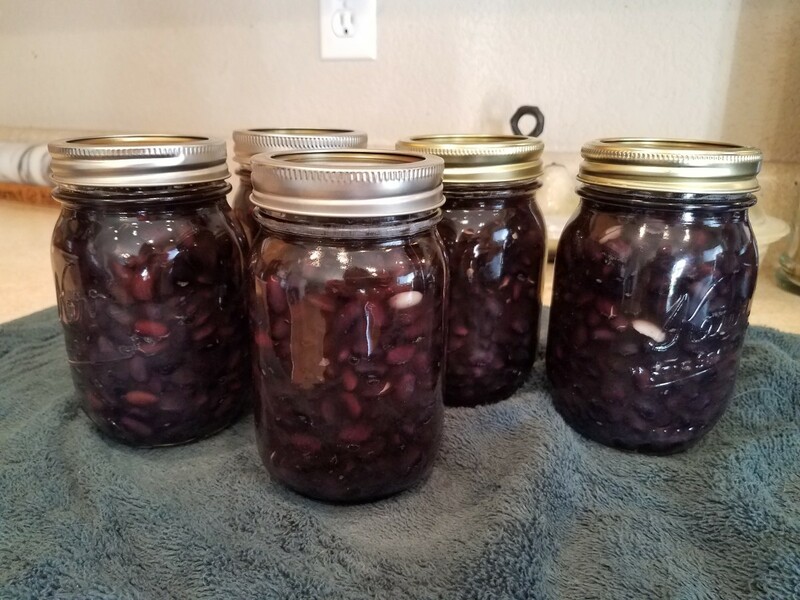 Here's a simple recipe! 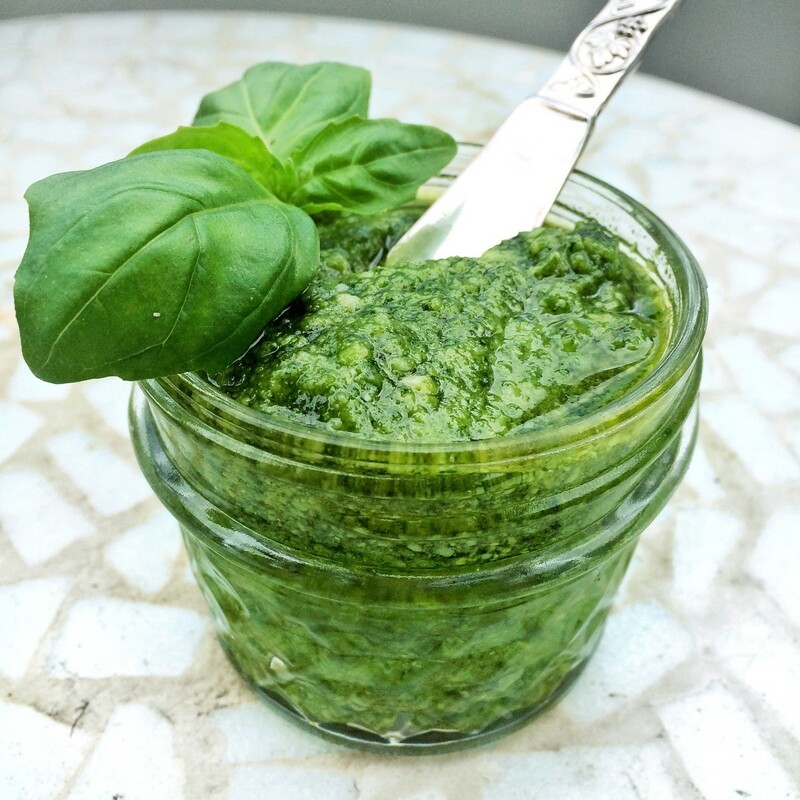 Pesto—a great sauce for pasta, meat, or eggs. 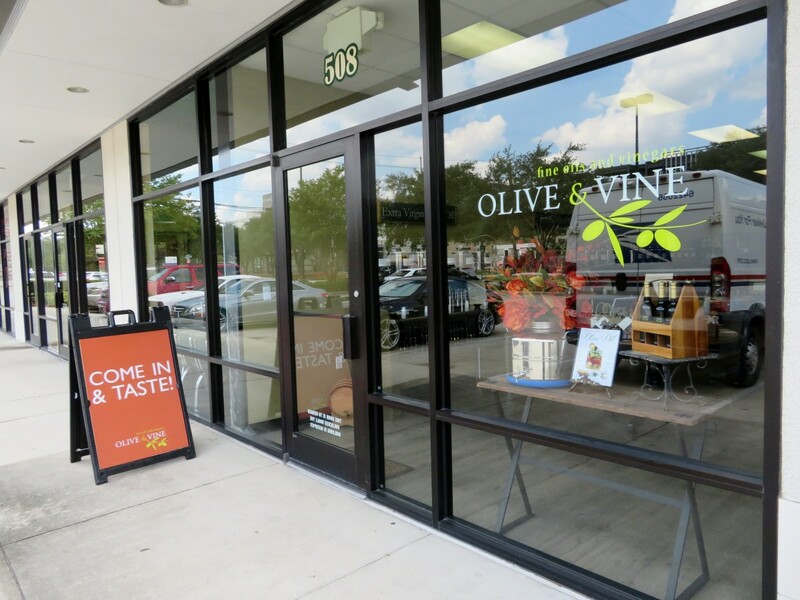 But some chefs have turned it into an amalgam of any veggie pulverized with olive oil. 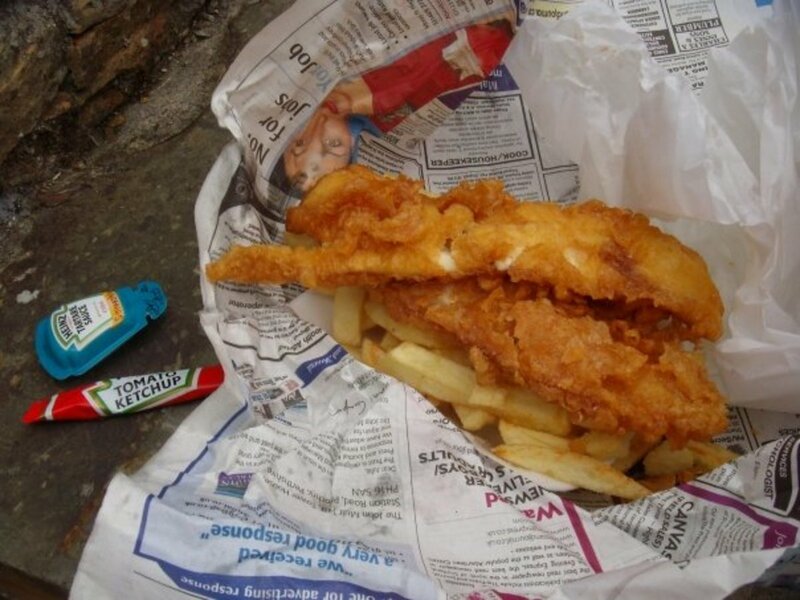 Let’s get back to basics. 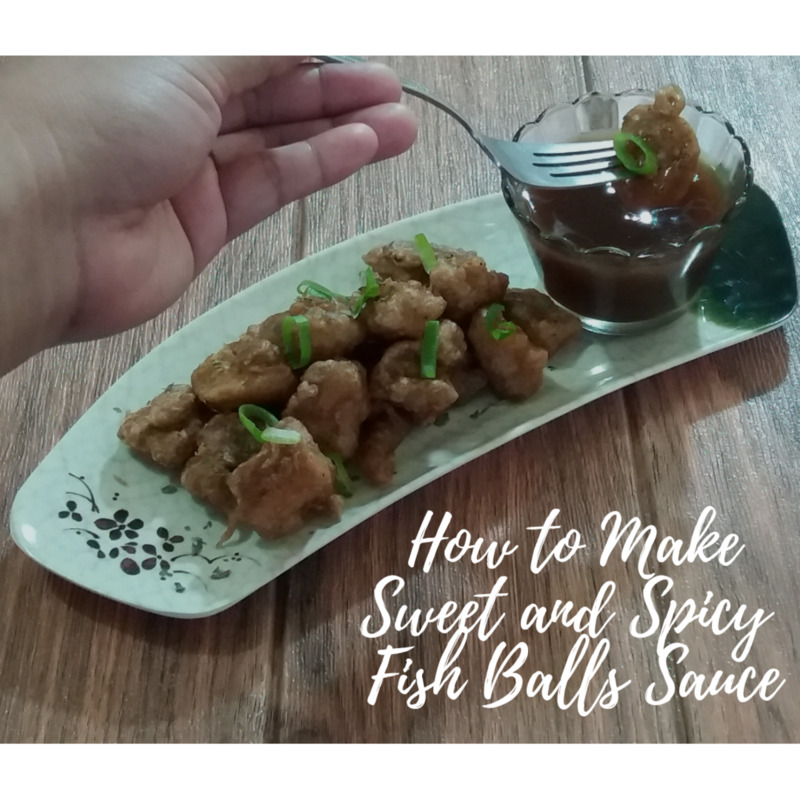 The perfect sauce for fish balls? 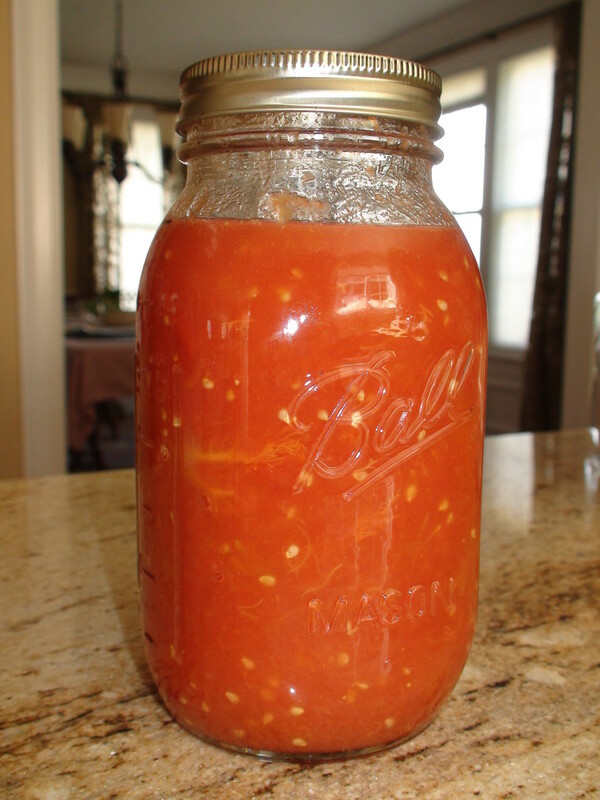 Sweet and spicy fish ball sauce, of course! 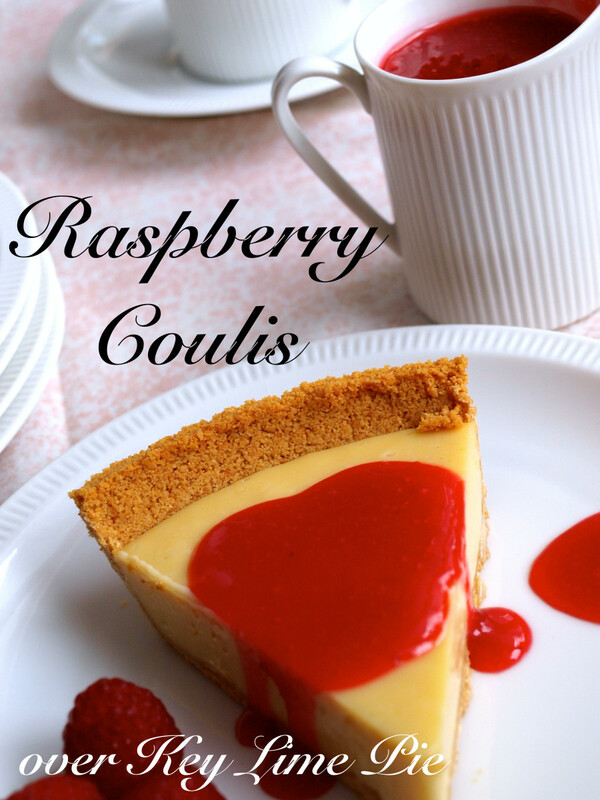 This recipe is both delicious and easy to make at home. 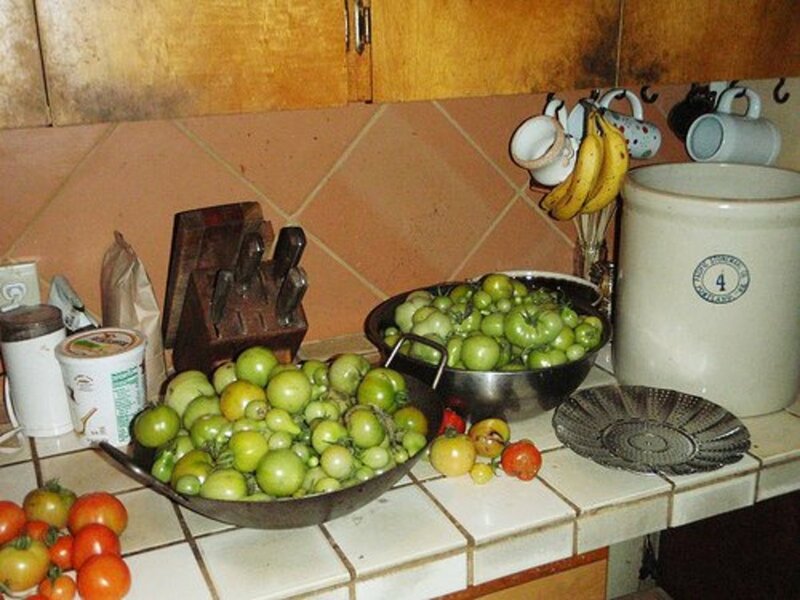 What does “French cooking” mean to you? Fancy, fussy, complicated? 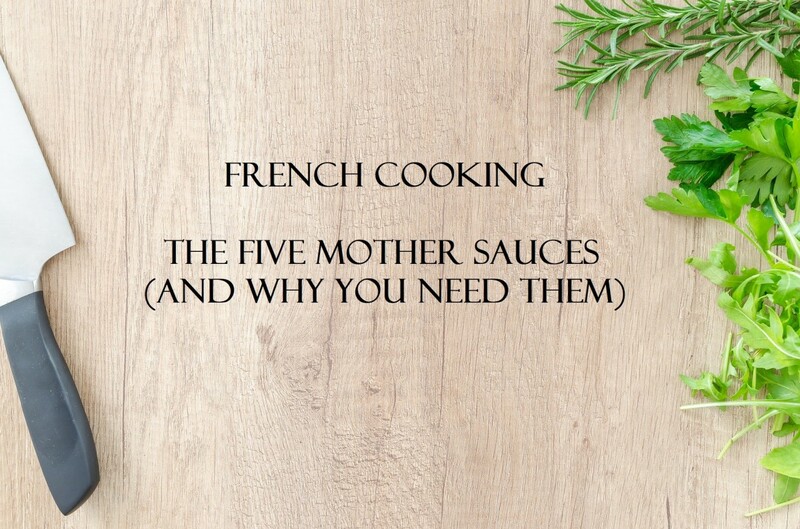 Mother sauces, the foundation of French cuisine are easy to prepare. 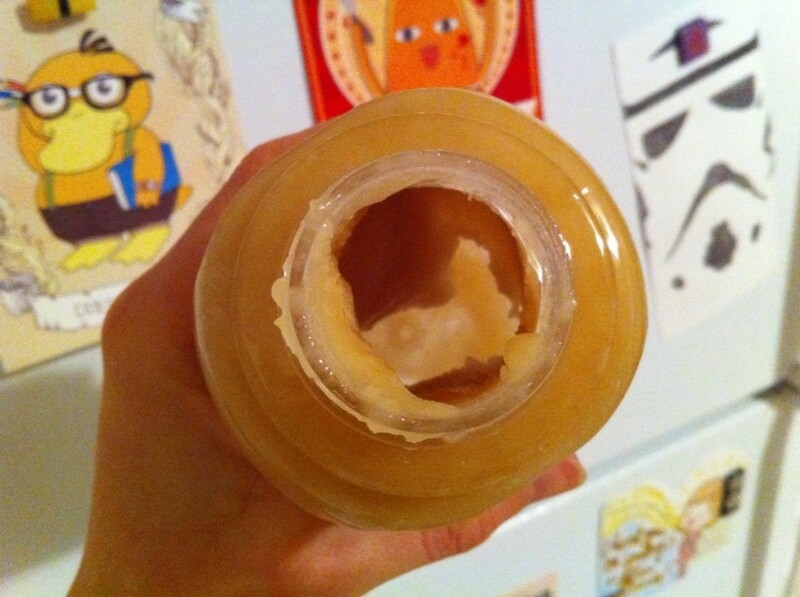 I'll tell you how, and you'll never buy packaged sauce again. 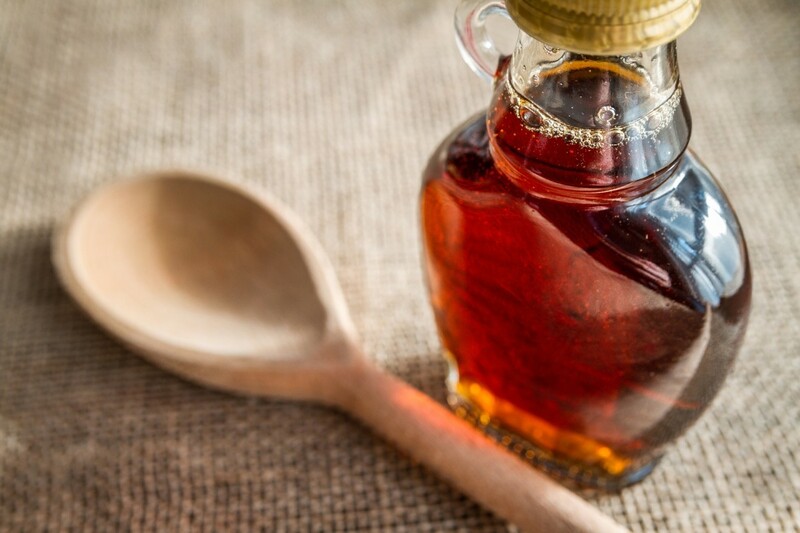 Step-by-step instructions on making a delicious and pretty syrup. 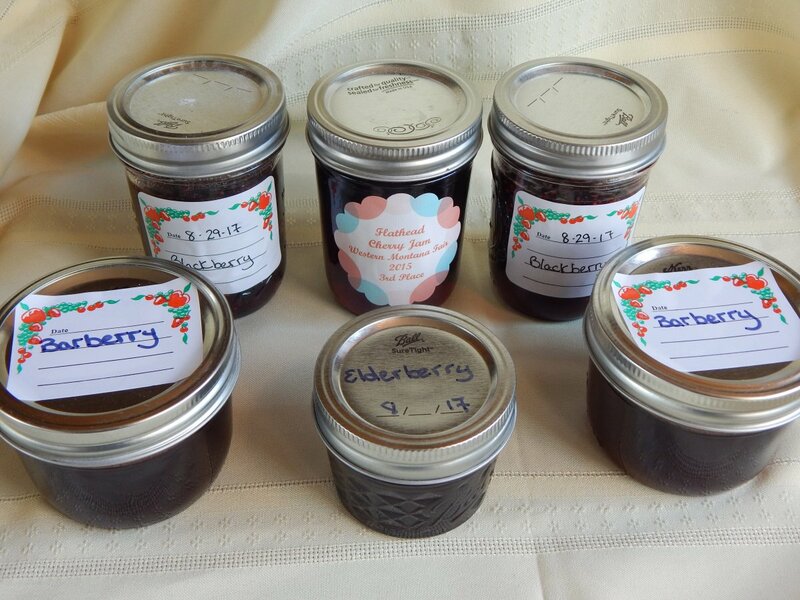 These instructions can be used for just about any edible flower. 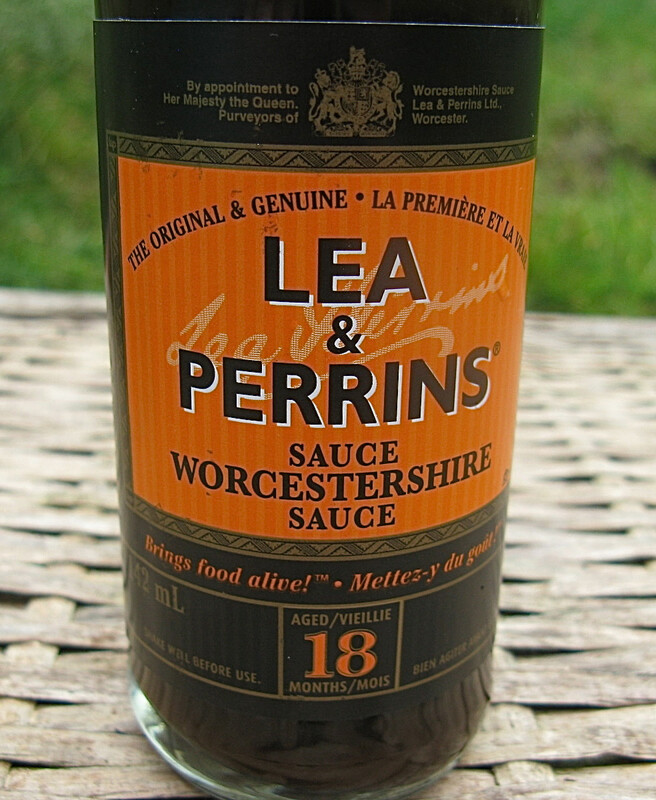 Worcestershire sauce is a delicious fermented product used to flavour meat, fish, Welsh rarebit, and cocktails. 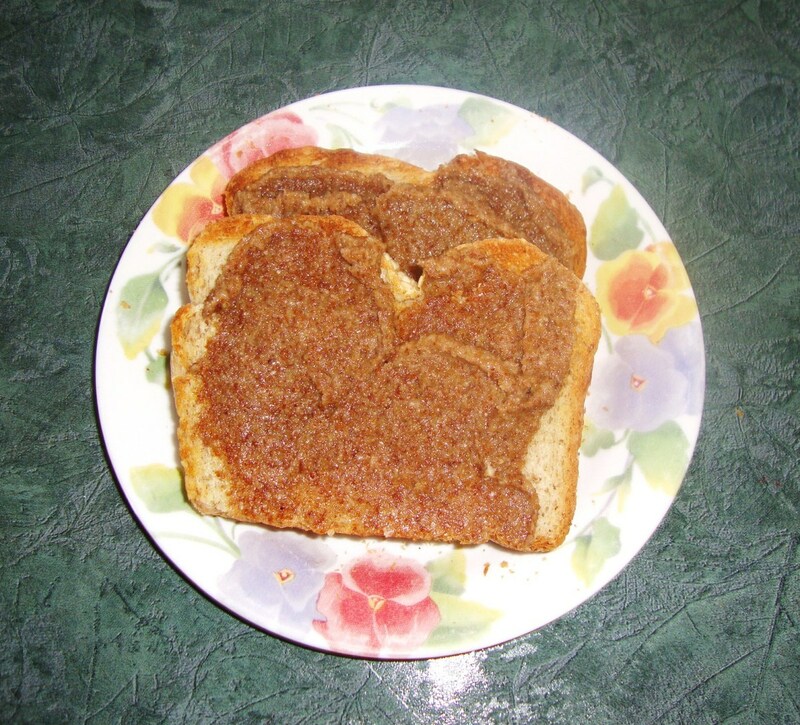 It’s made from a secret recipe by Lea and Perrins. 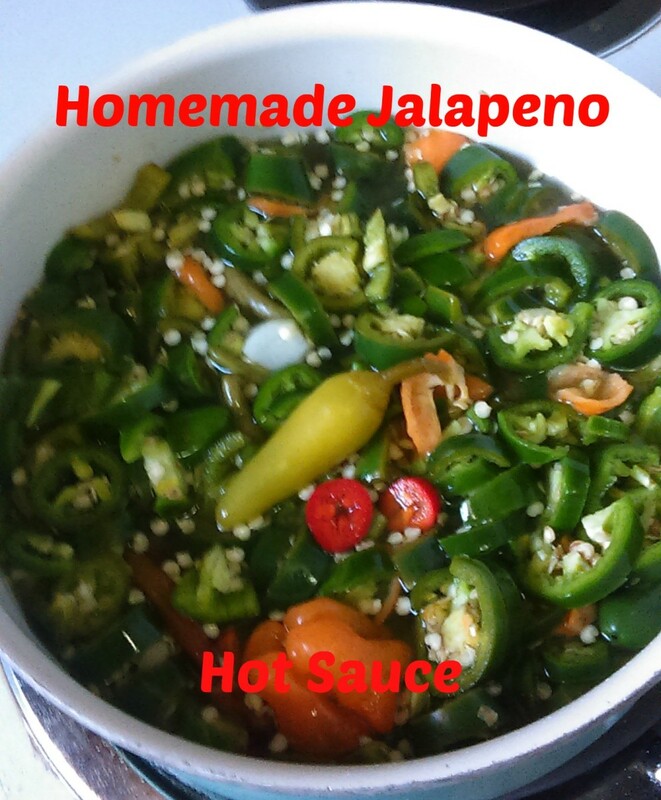 A good, flavorful jalapeno hot sauce recipe that goes a bit beyond the basics. 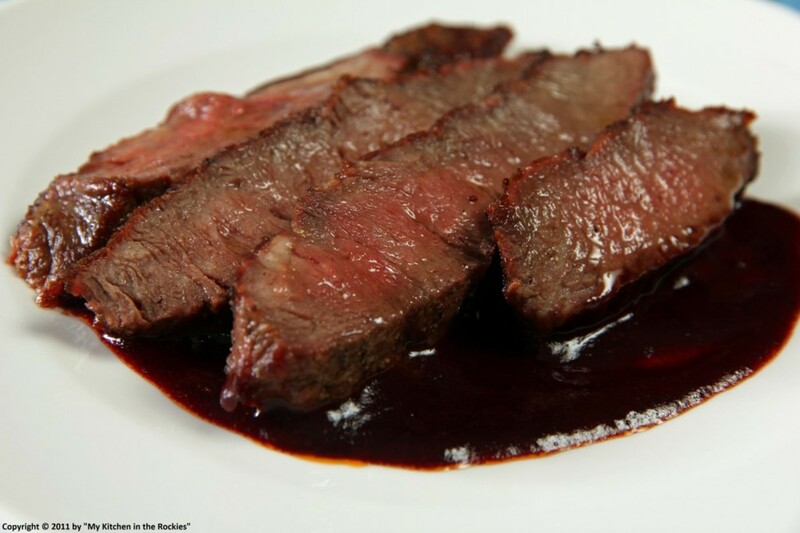 Red wine vinegar, shallots and garlic reduce quickly for a fabulous steak sauce. 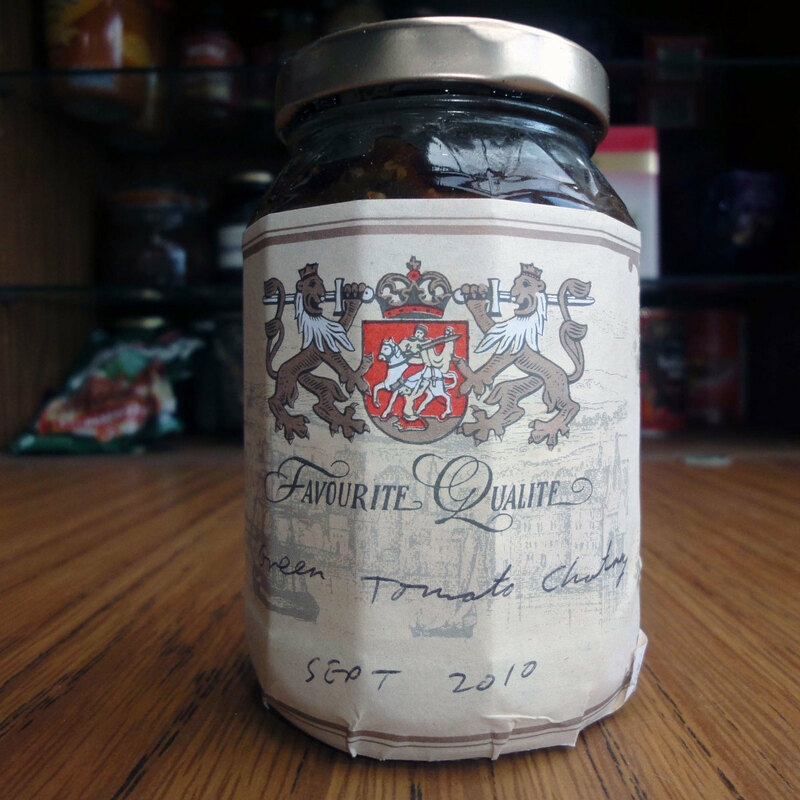 This sauce will change the way you enjoy steak. 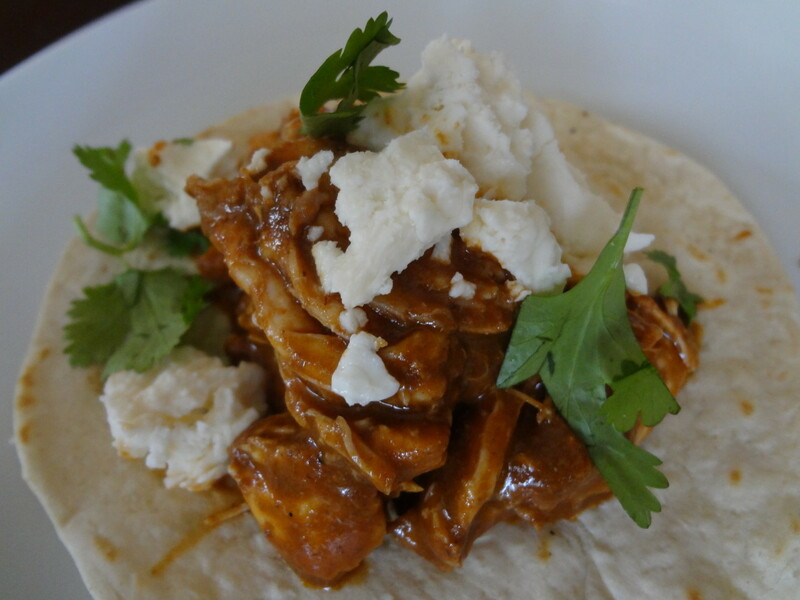 It's so savory and flavorful, plus it's easy to make! 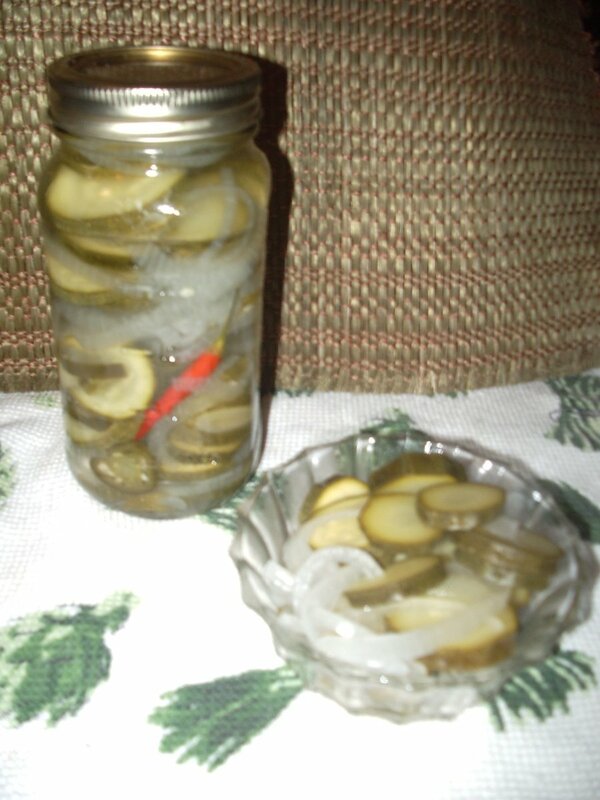 Pickles from zucchini? 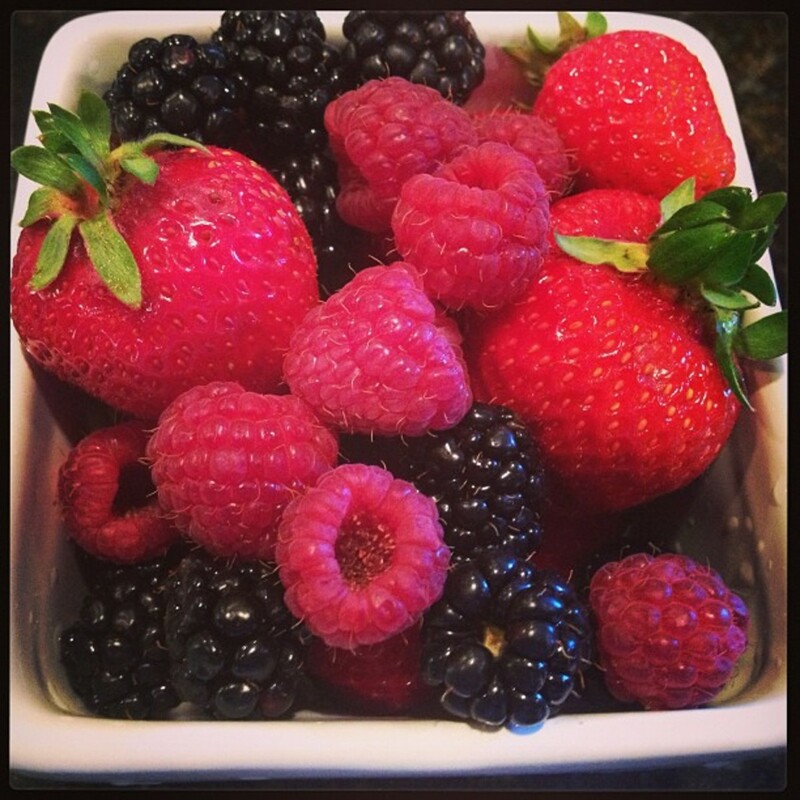 Yes, crisp and full of flavor! 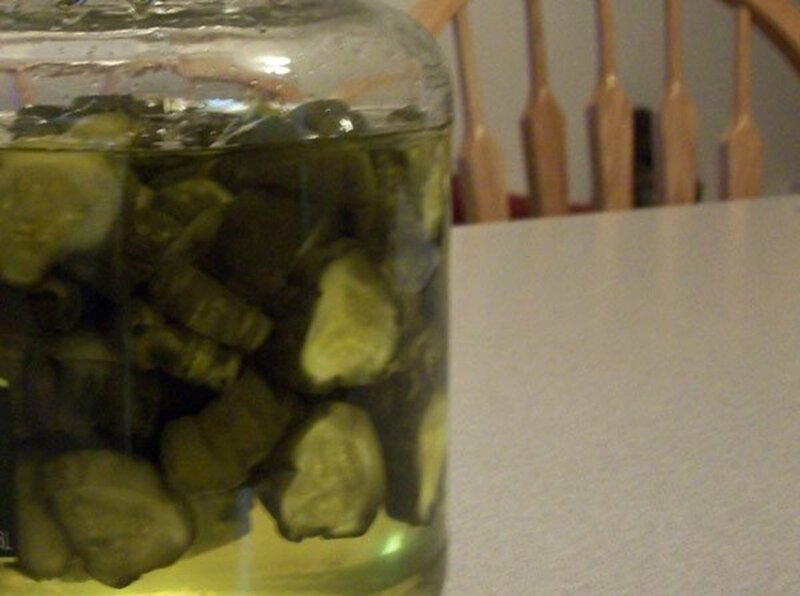 You'll be amazed at how delicious these pickles are. 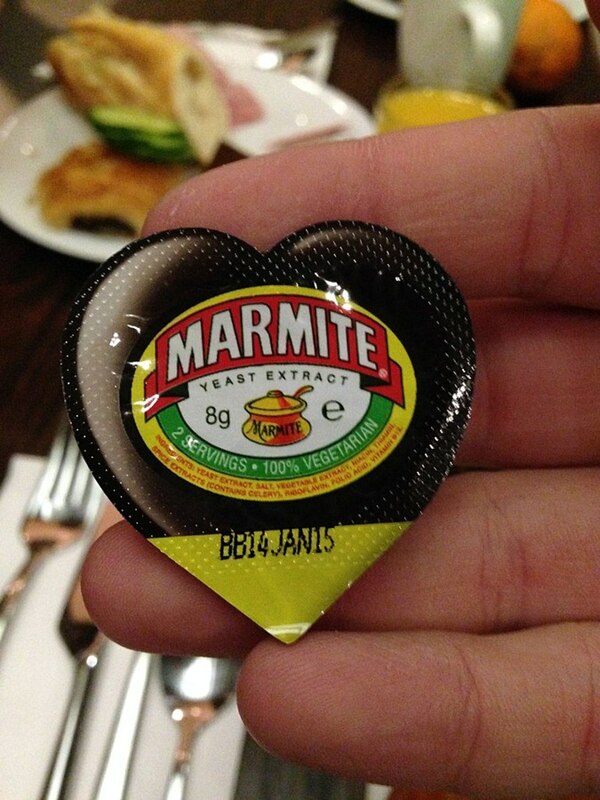 Marmite is a strong, savory, slightly salty-tasting spread. 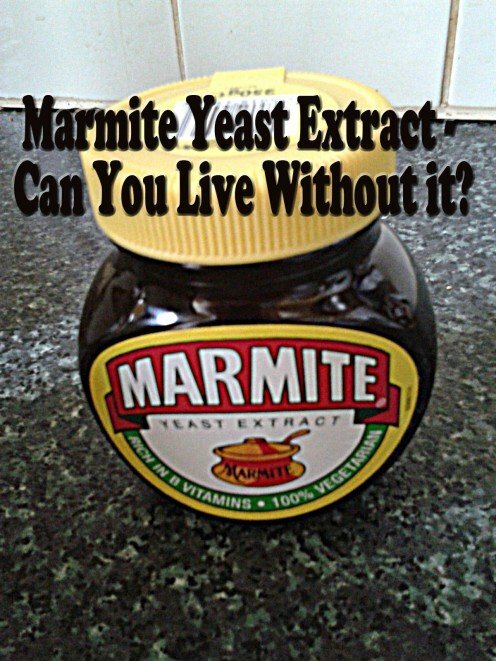 Learn all you need to know about Marmite, which seems to bring out strong reactions. Most people either love it or hate it, nothing in between. 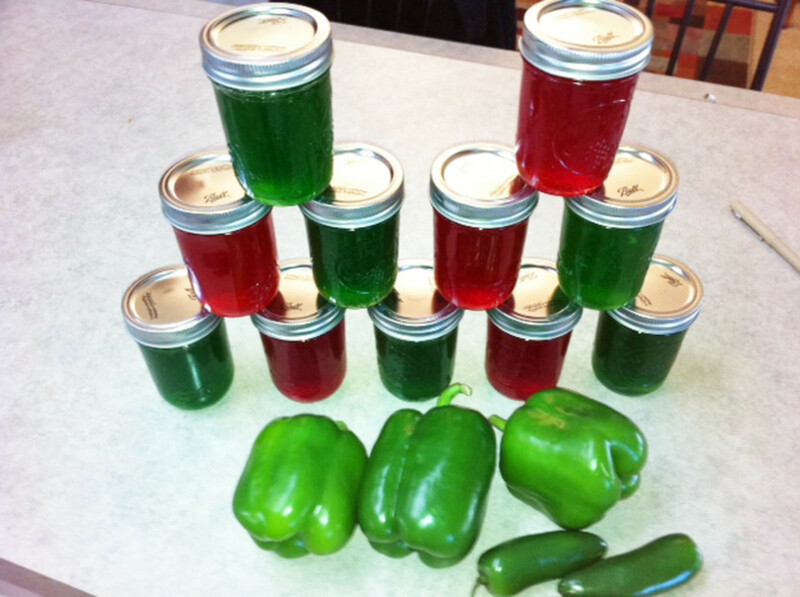 Hot green pepper jelly! 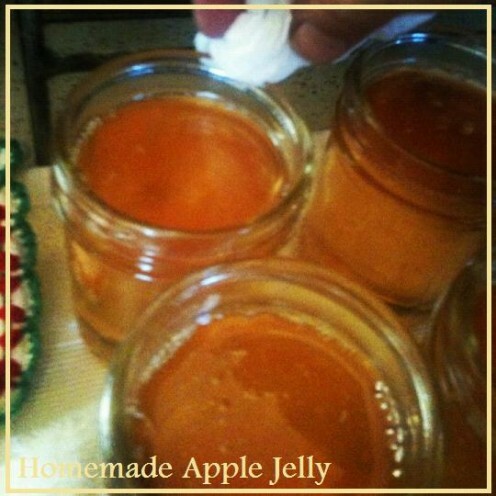 This is great old recipe for this famous and fantastic tasting jelly that everyone loves. 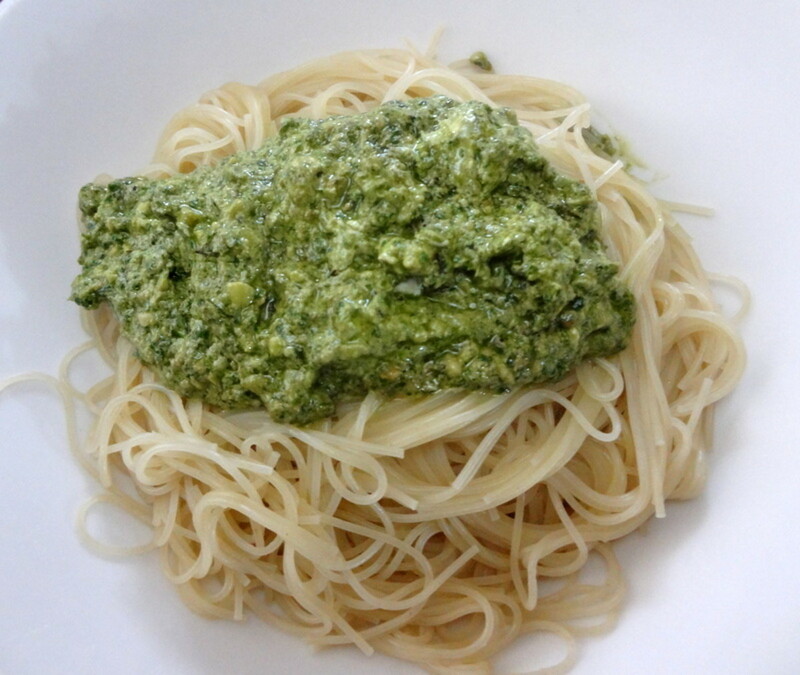 It is a simple recipe and easy to make. 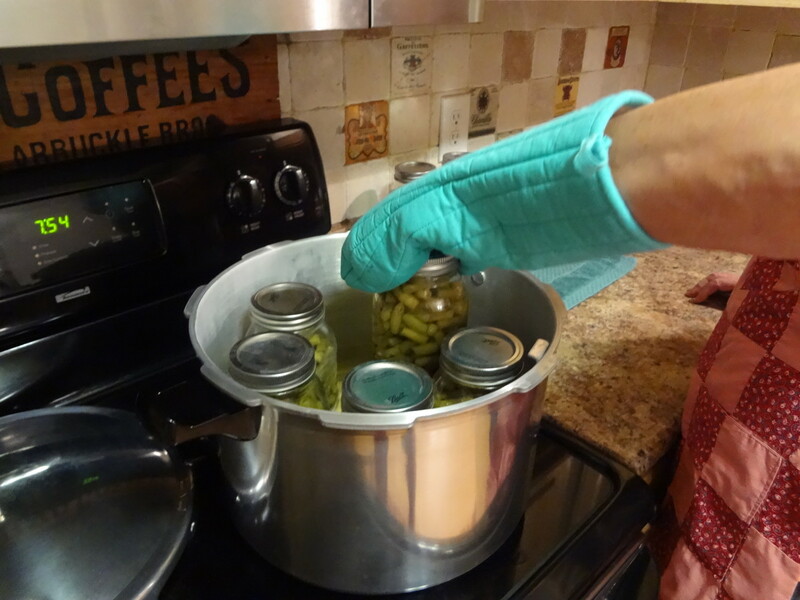 Photos and text teach you step-by-step how to pressure can milk by sealing it in jars for long-term storage. 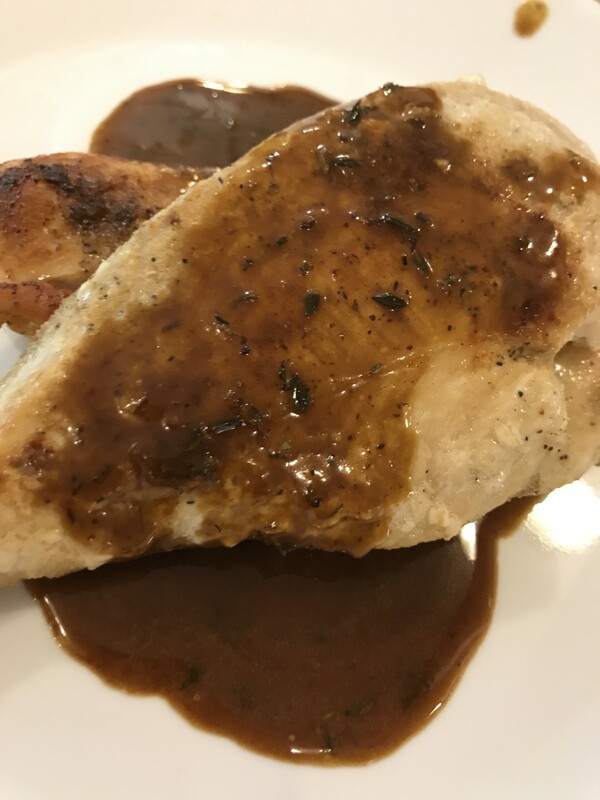 Making a real Cajun-style roux is no mystery—it simply takes a little patience! 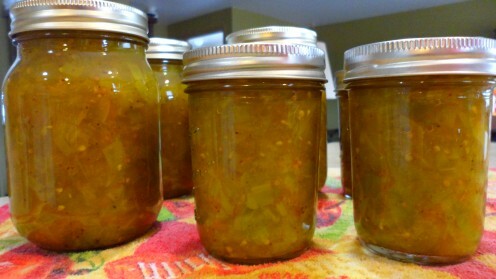 With a couple of tools and three ingredients, you can have true, rich Cajun flavor for gumbo or étouffée for yourself! 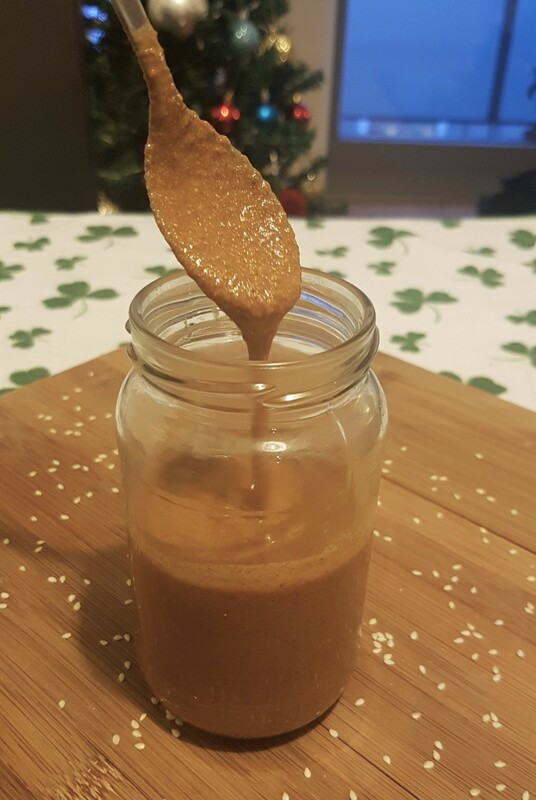 A quick and easy tahini recipe. 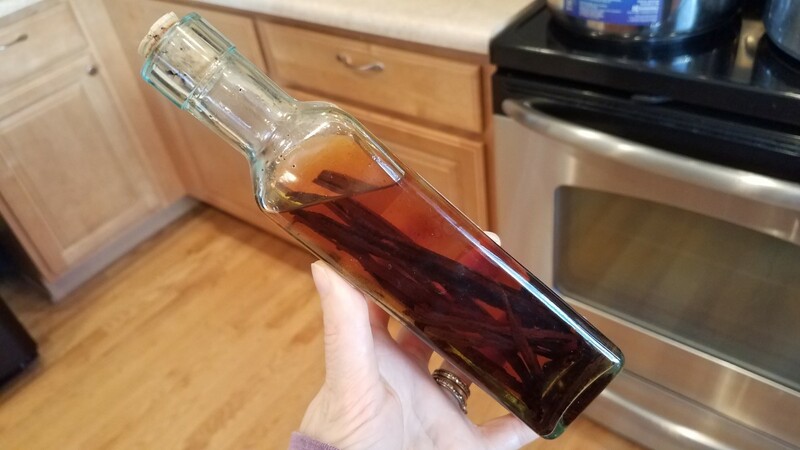 Only need 2 ingredients. 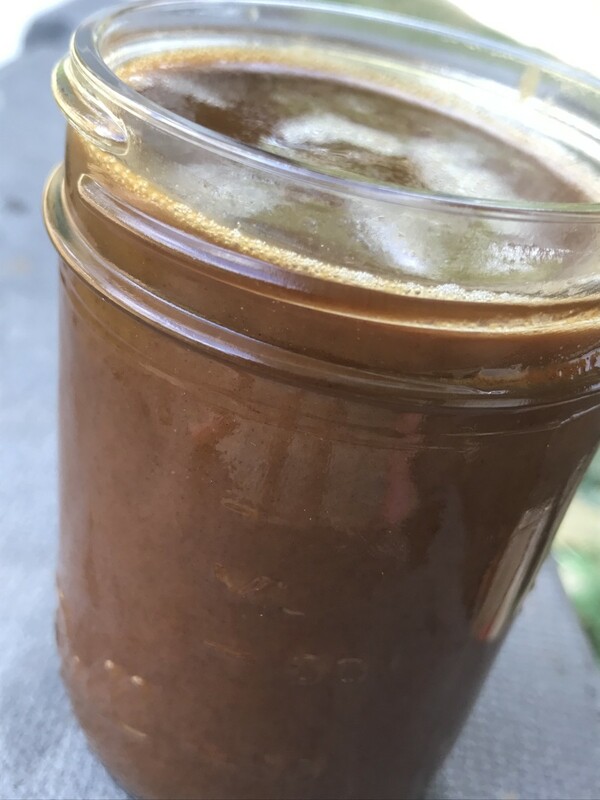 Homemade tahini paste made in just 15 minutes. 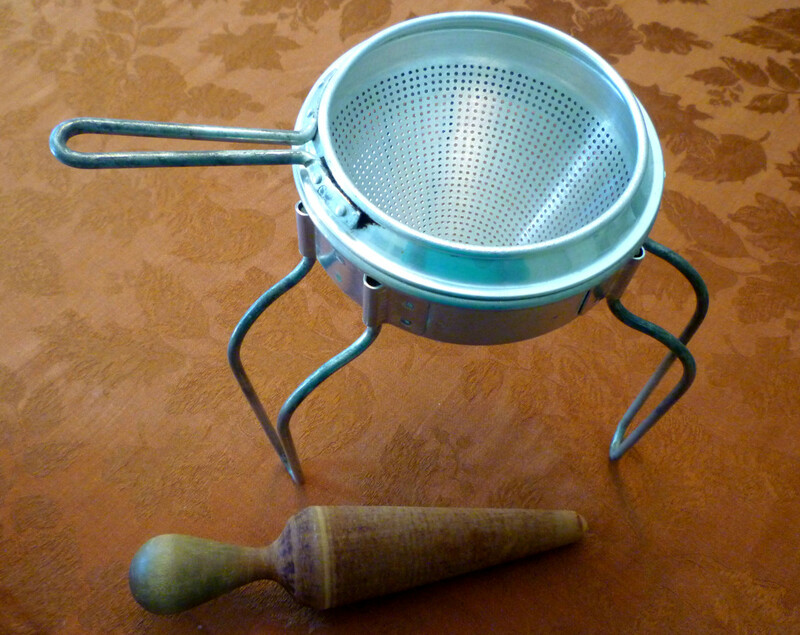 Ideal for making hummus, tahini salad dressing, tahini dip, tahini sauce or even tahini cookies! 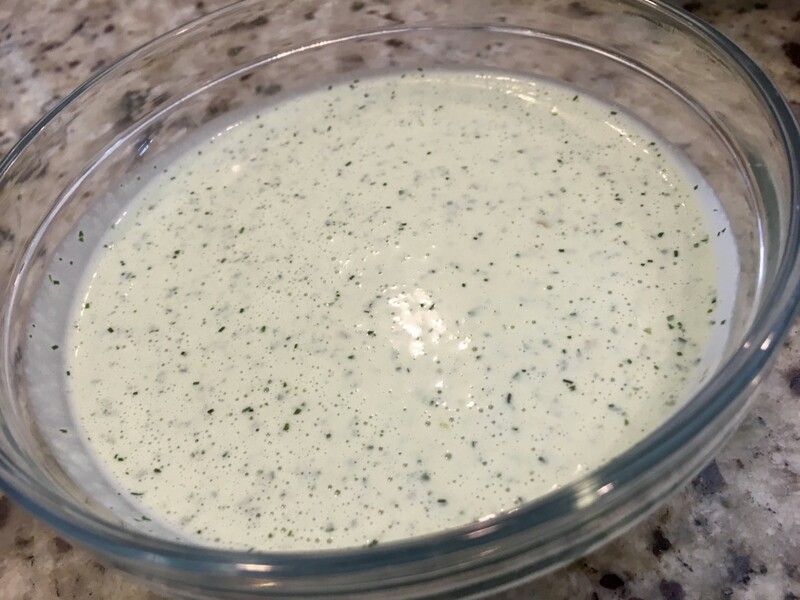 This sauce is a fresher version of the jalapeño ranch dip from the Chuy's restaurant chain. 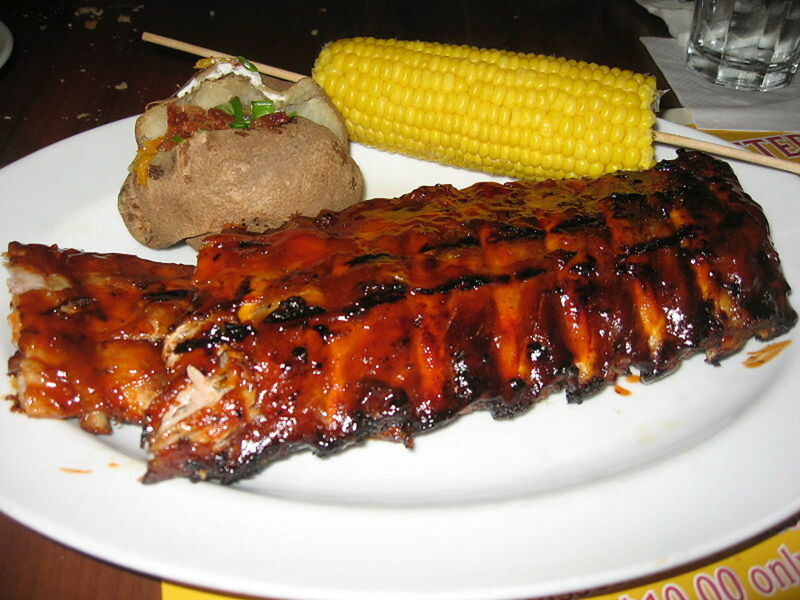 I got rid of the ranch packet and made this from scratch. 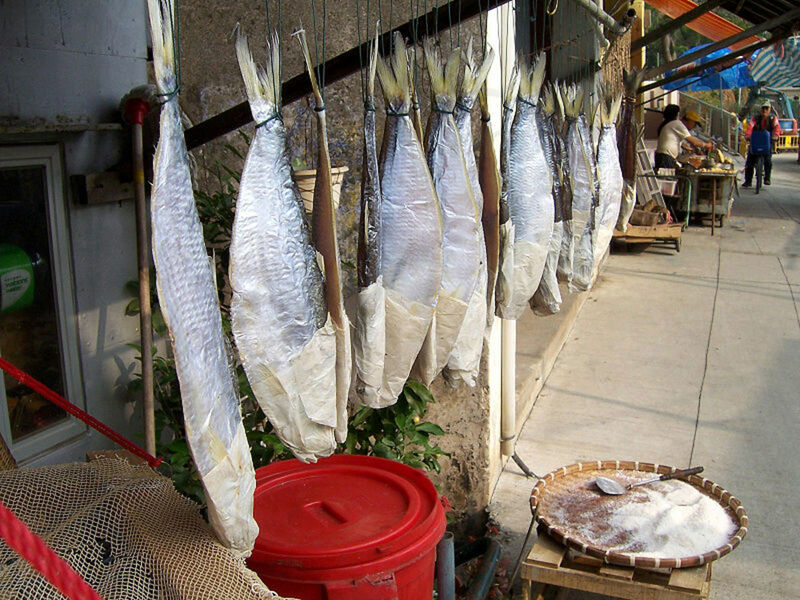 Fish can be preserved by drying, salting, and freezing. 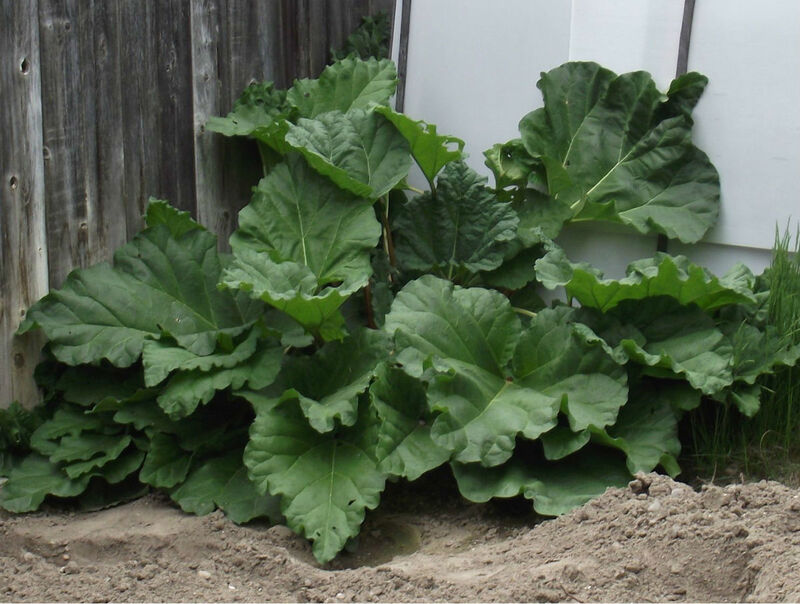 These methods go back thousands of years and are effective ways to store bumper harvests for times of scarcity. 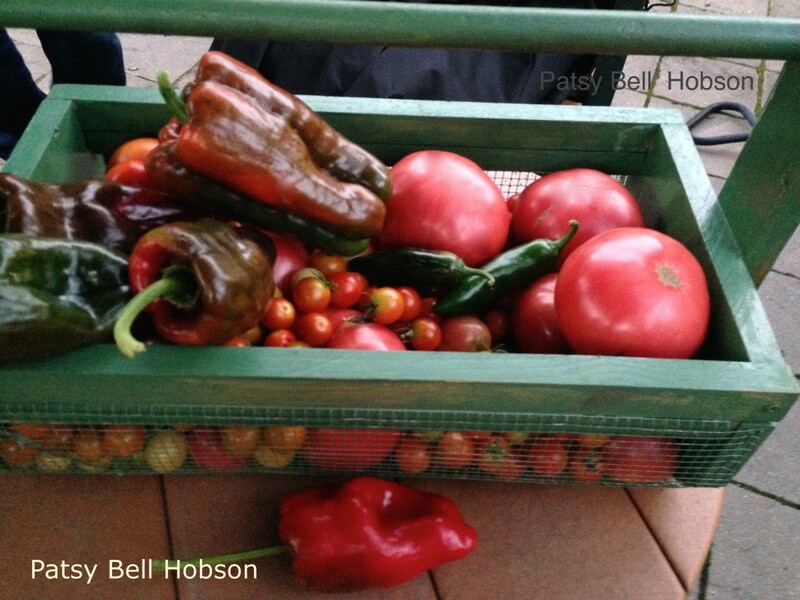 Of all the vegetables I can each year, tomatoes have to be my favorite. 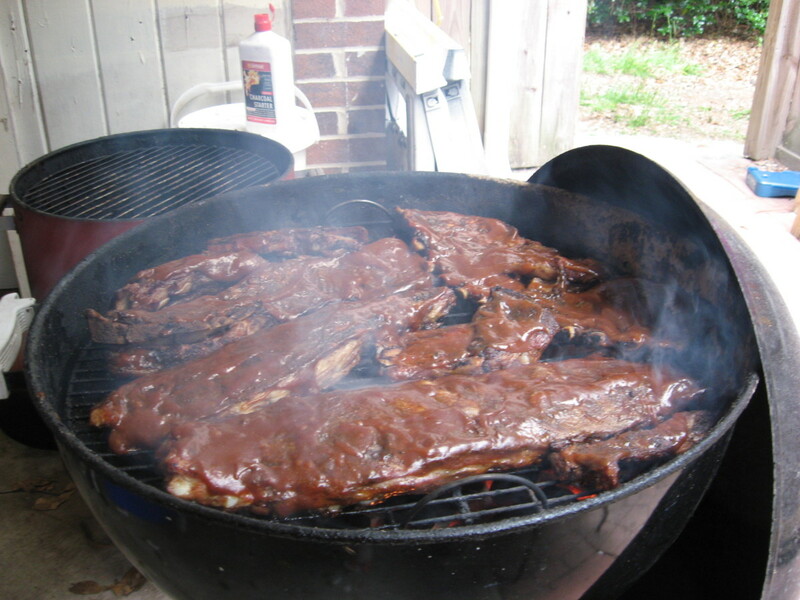 My instructions are easy to follow, and the photos will help you, too. 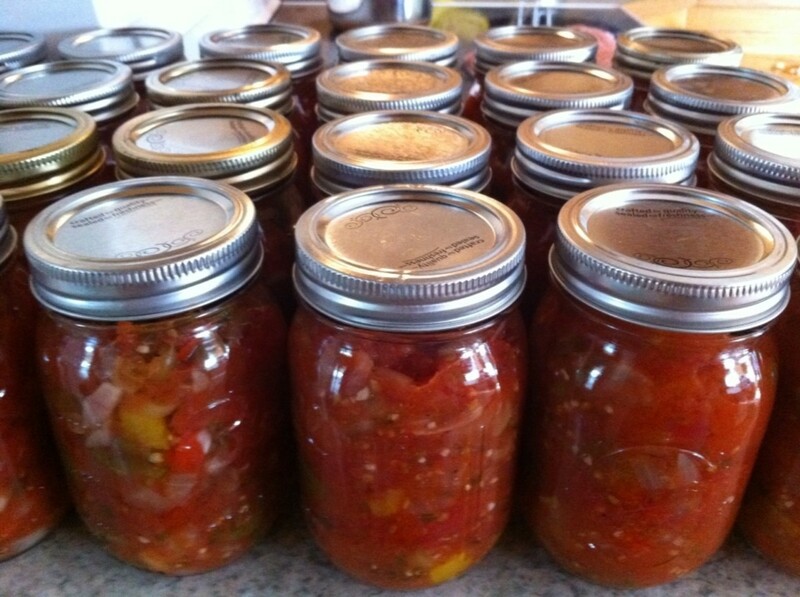 You're going to love having jars of tomatoes you canned yourself. 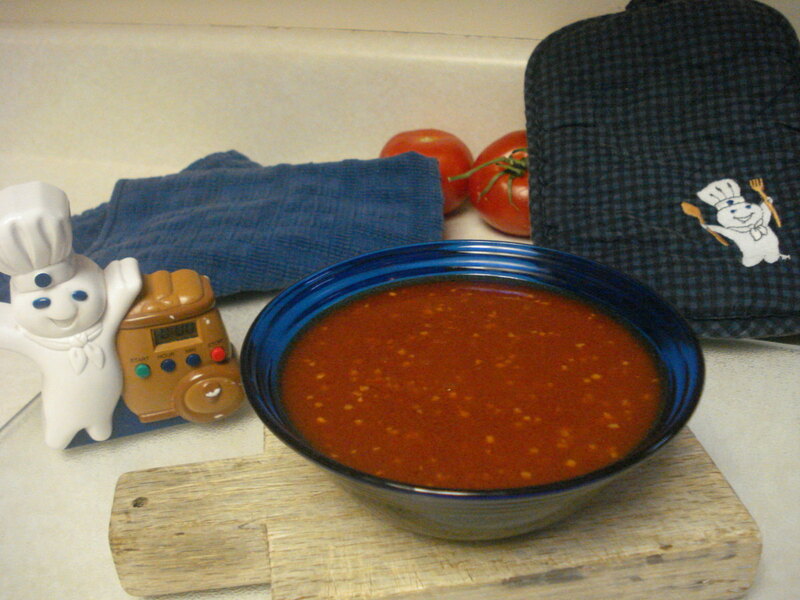 Learning how to make a quick pan sauce will give you superpowers in the kitchen. 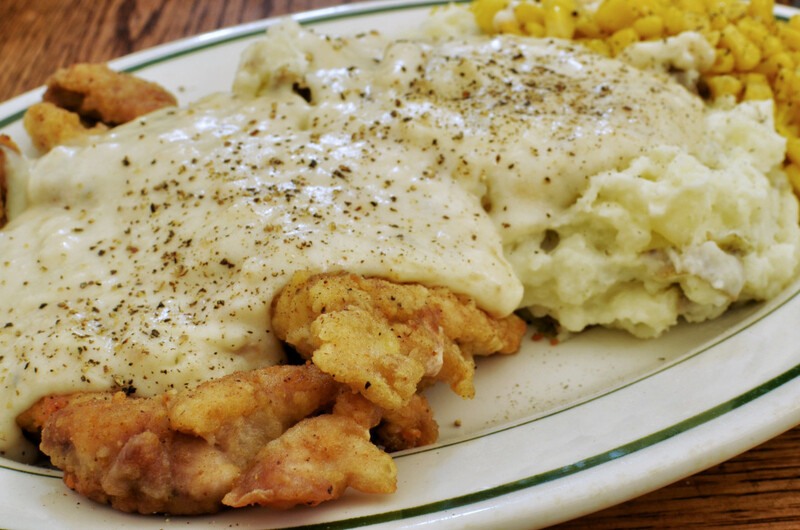 Three to four ingredients and five minutes will elevate a plain chicken breast or pork chop to a whole new level. Do you love McDonald's? 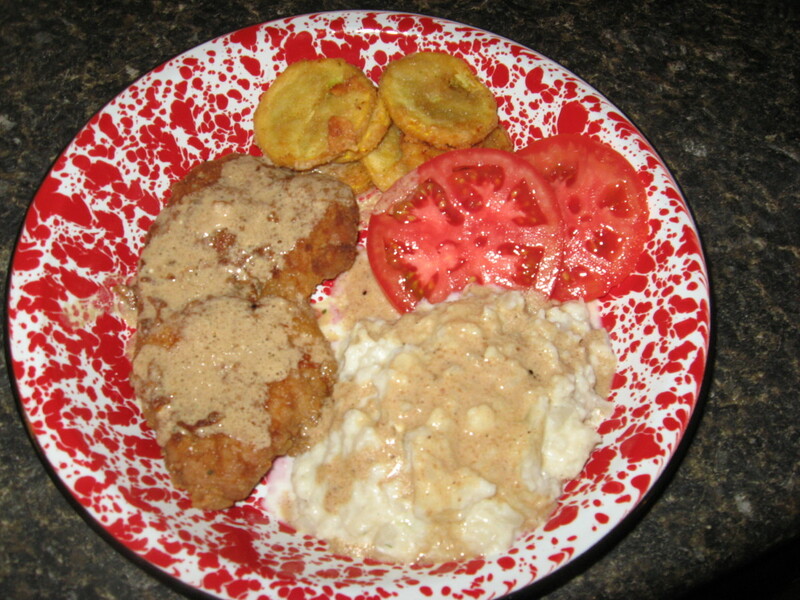 Try my version of their famous tartar sauce. 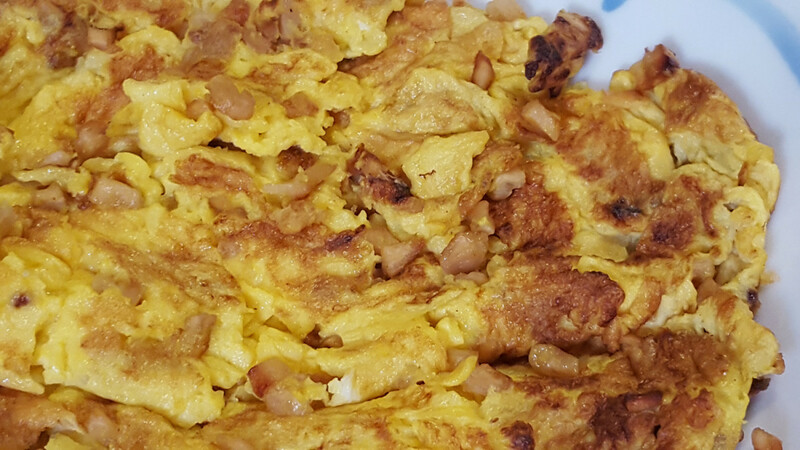 You can prepare this delicious recipe in just five minutes. 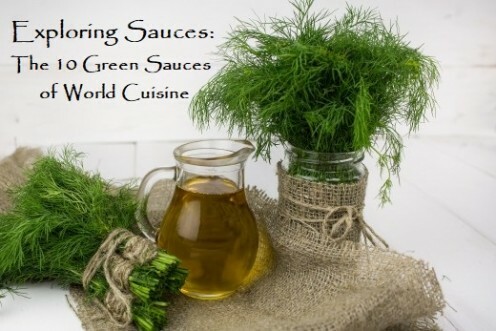 Green sauces—a simple idea with world-wide appeal. 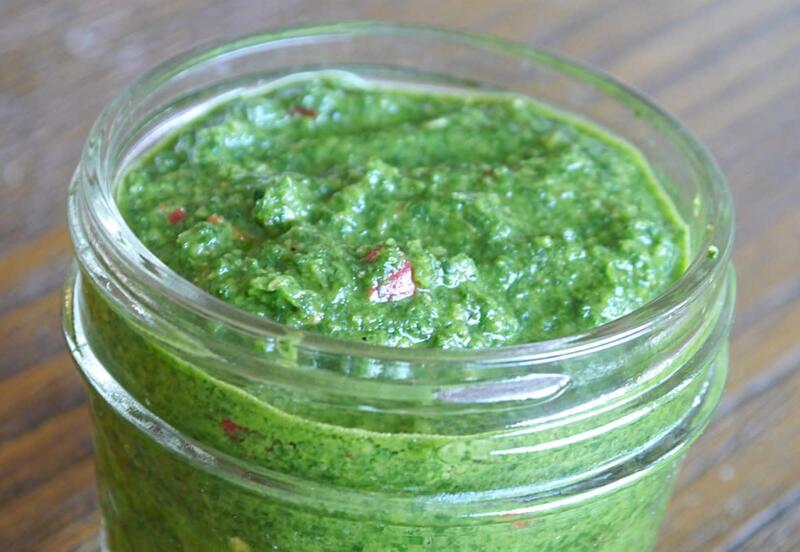 Each culture uses the herbs of their garden to craft a condiment to accompany the foods they love. 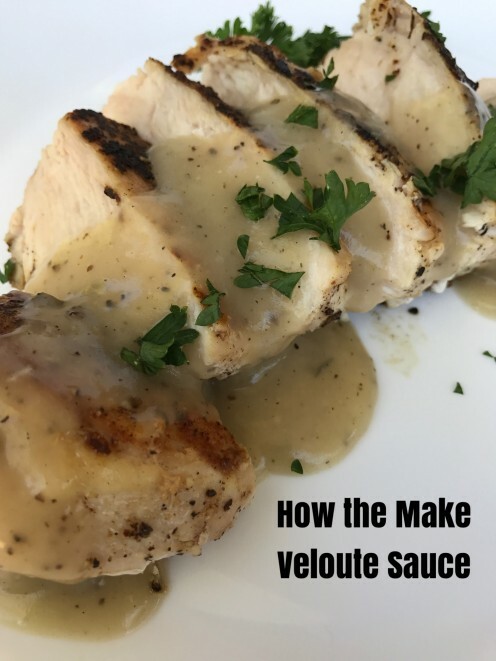 Let’s explore the origins of ten of these sauces, how to make them, and how to use them in dishes for your friends and family. 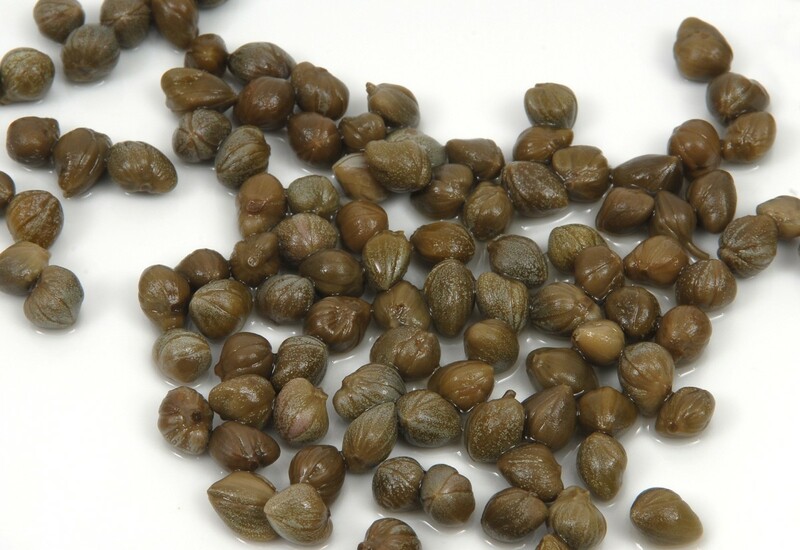 Capers are a salty, briny condiment that can provide amazing pops of flavor to your savory dishes. 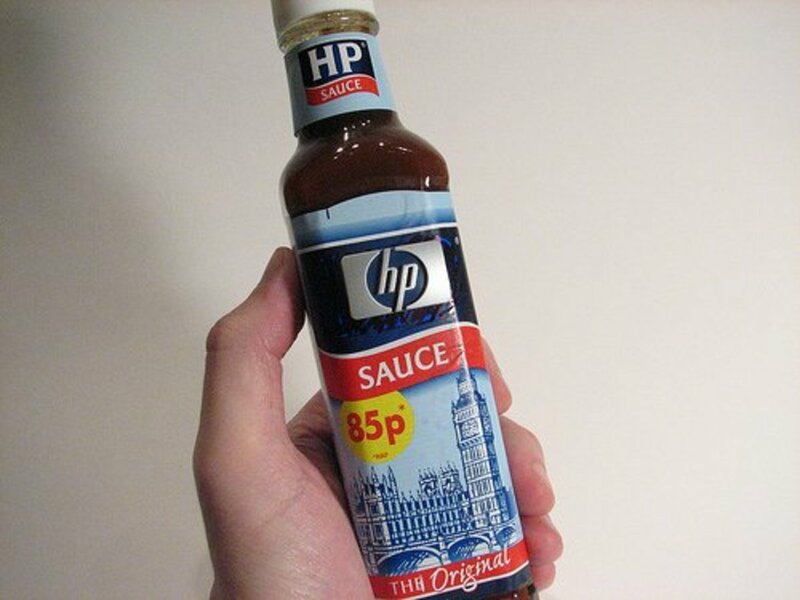 An essential condiment in every British household is a bottle of HP Sauce, just as it’s nearly impossible to find an American home without ketchup. 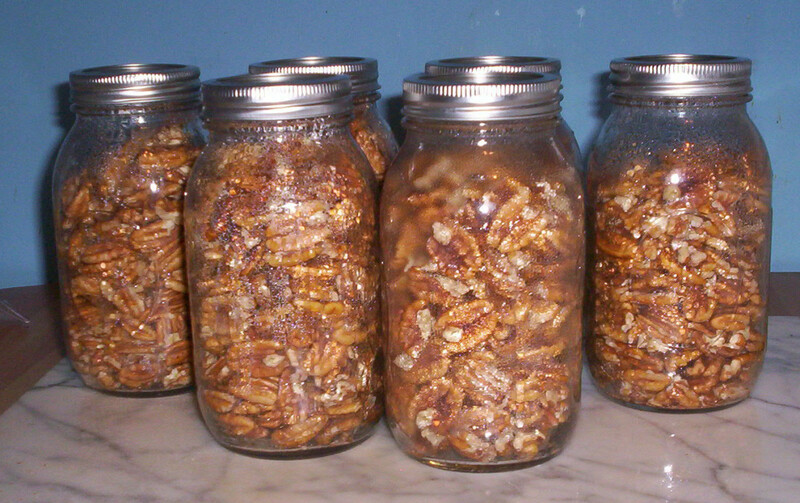 Pecans (and almost any food) can be preserved in Mason jars. 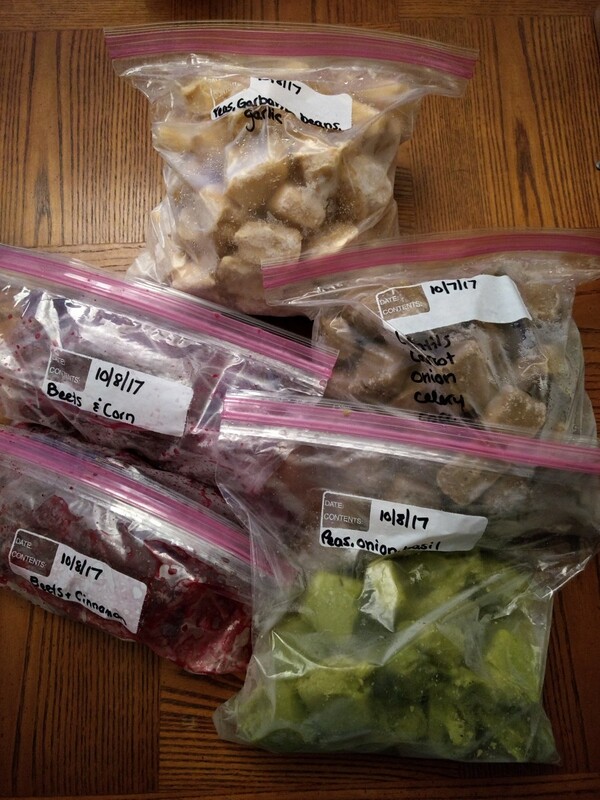 This method frees up your freezer space, and there is no freezer burn. 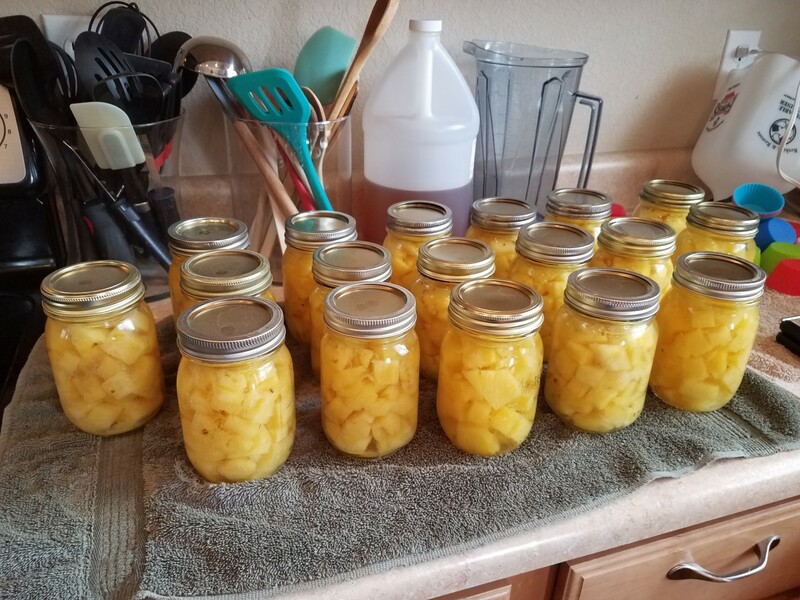 When your chickens produce too many eggs to use fresh, or you find a good sale on eggs, preserve some for later consumption using an old-fashioned method. 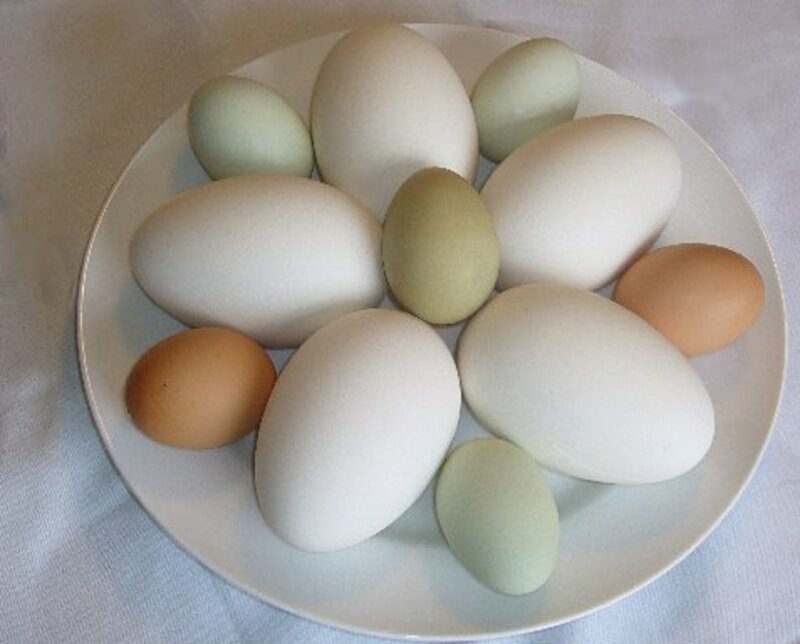 Store eggs in your basement or closet. 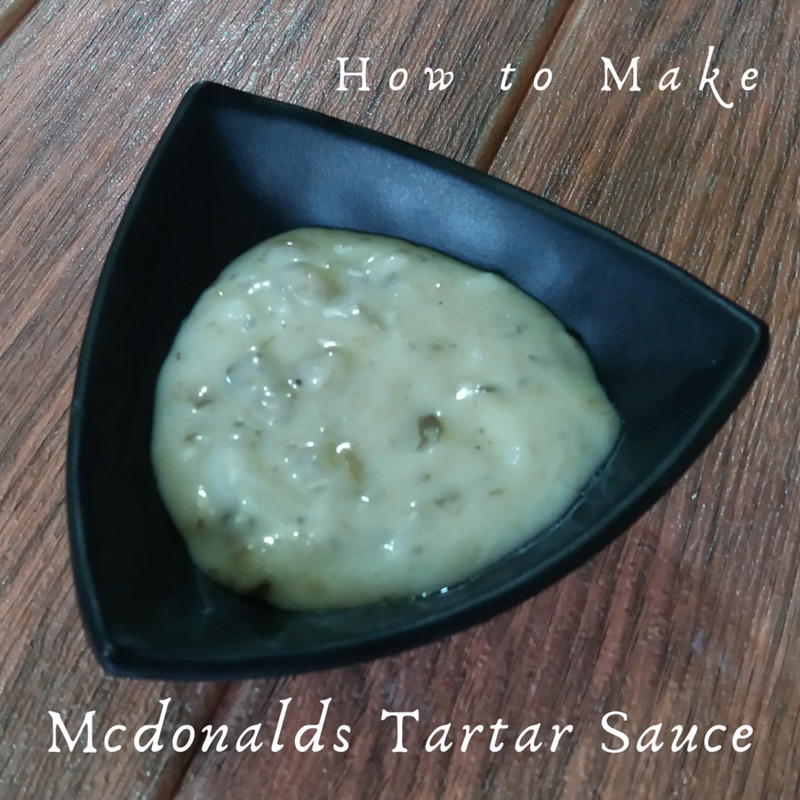 Standard tartar sauce is great in a hurry and an even simply version takes about 60 seonds to prepare. 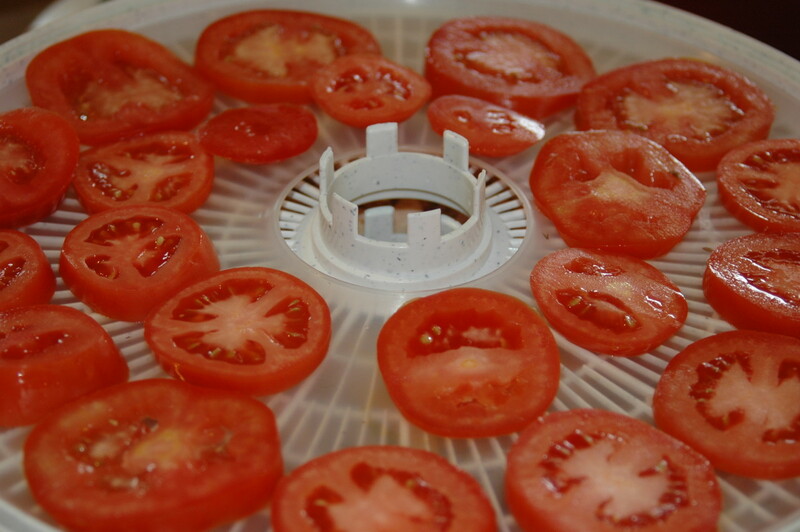 At the same time, some of my favorites are also fast and easy. 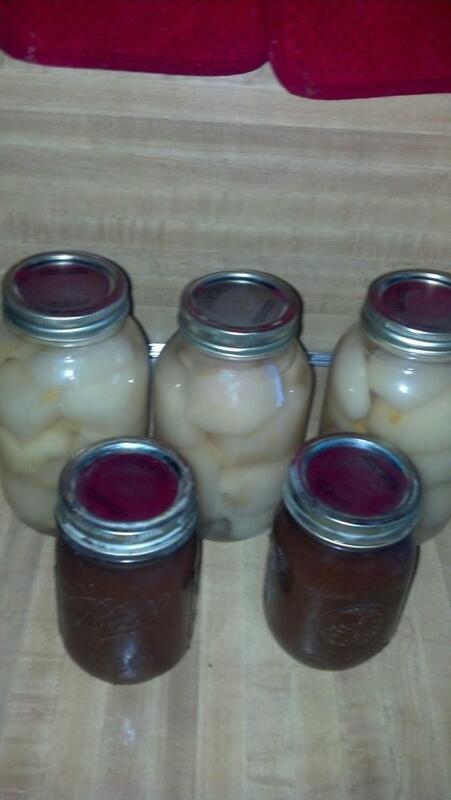 I've made a lot of baby food in the past year. 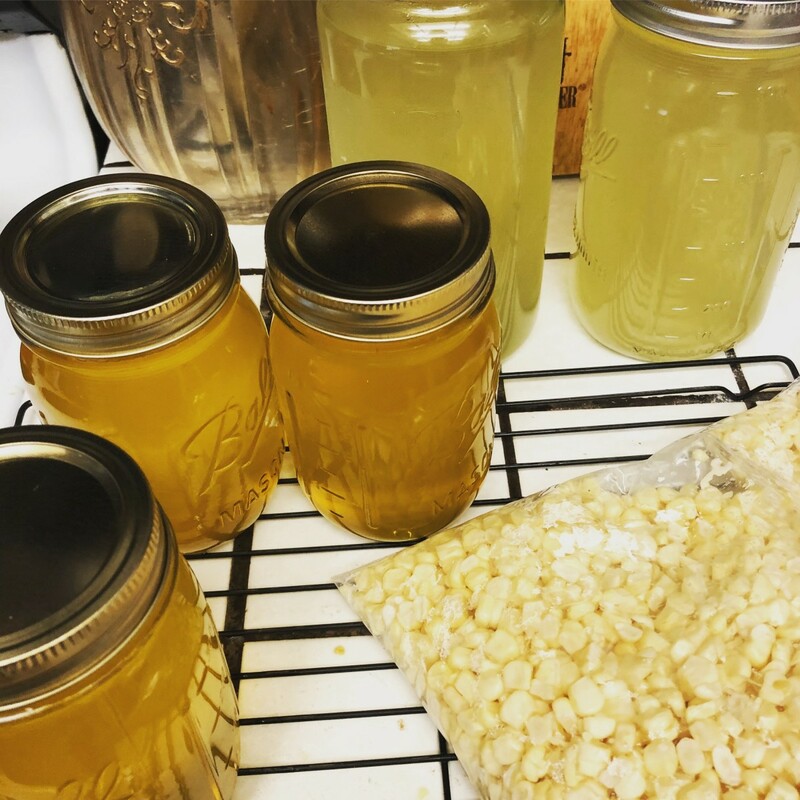 I prefer to make it at home because I know exactly what goes into it. I'd love to share my experiences with you.